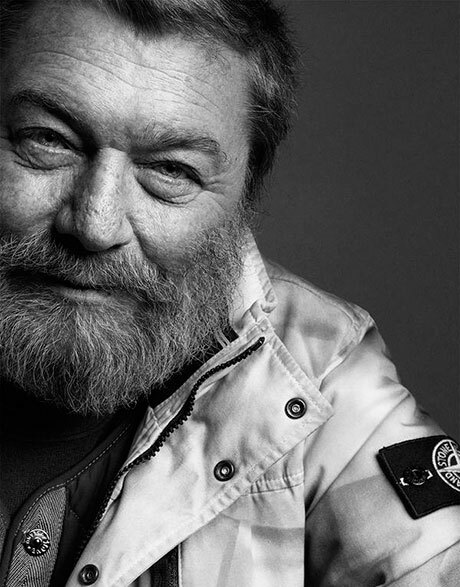 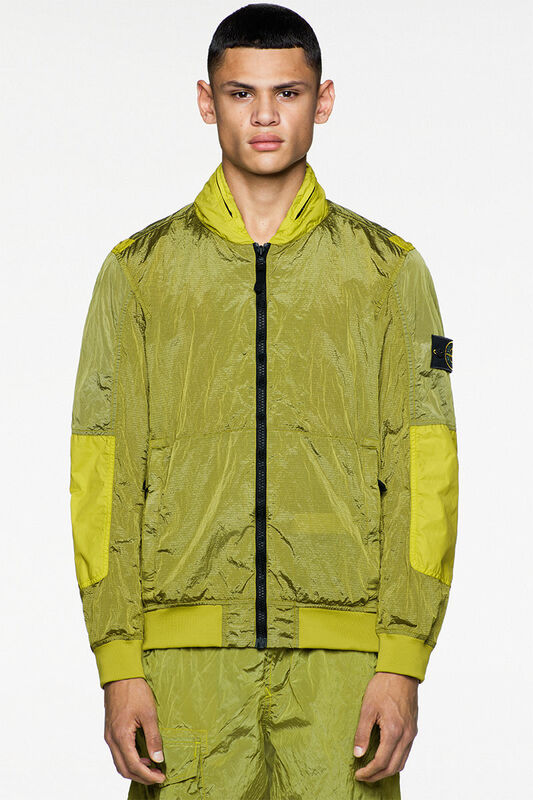 Stone Island, the Italian brand that reinvented the sportswear concept, was born in 1982 from a passionate search for textile ennoblement. 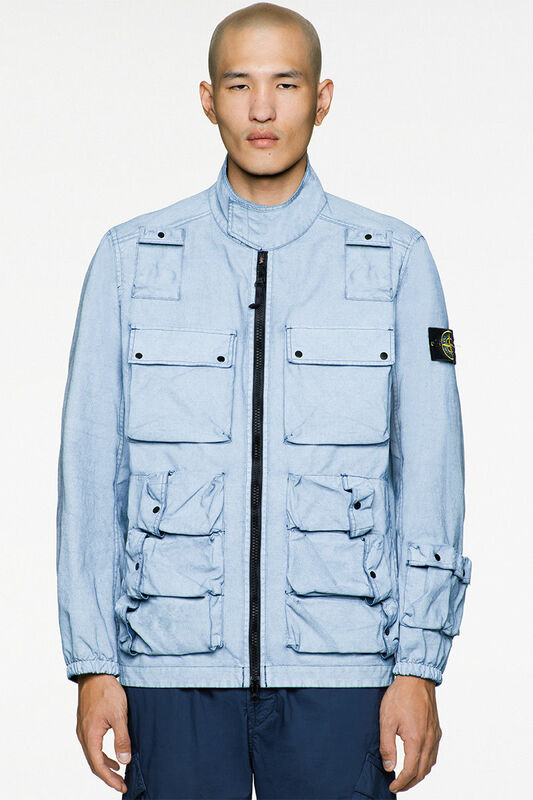 From the outset, Stone Island has undertaken innovative research into fibers and textiles never previously used in the clothing industry. 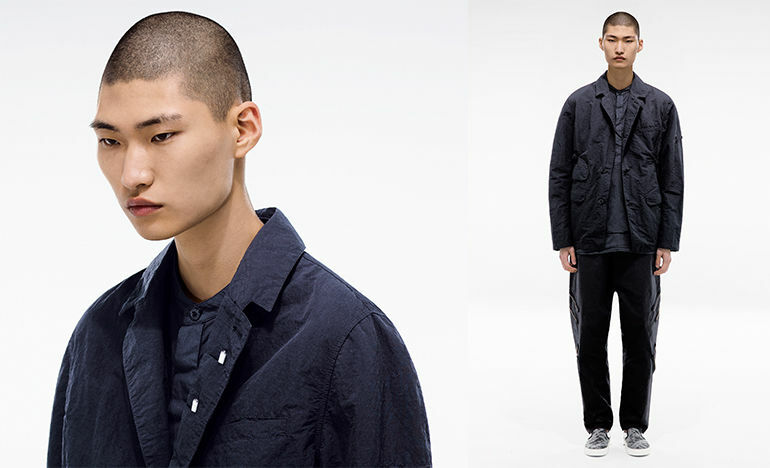 The brand pushes the frontier of research further forward in each new collection, in a manufacturing world still dominated by traditional processes and materials. 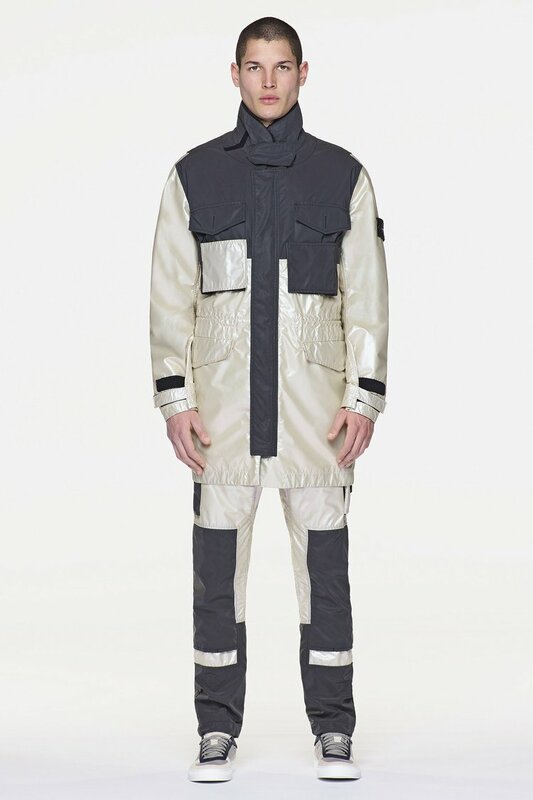 This has resulted in products that are absolutely unique in terms of their quality, processing techniques and design. 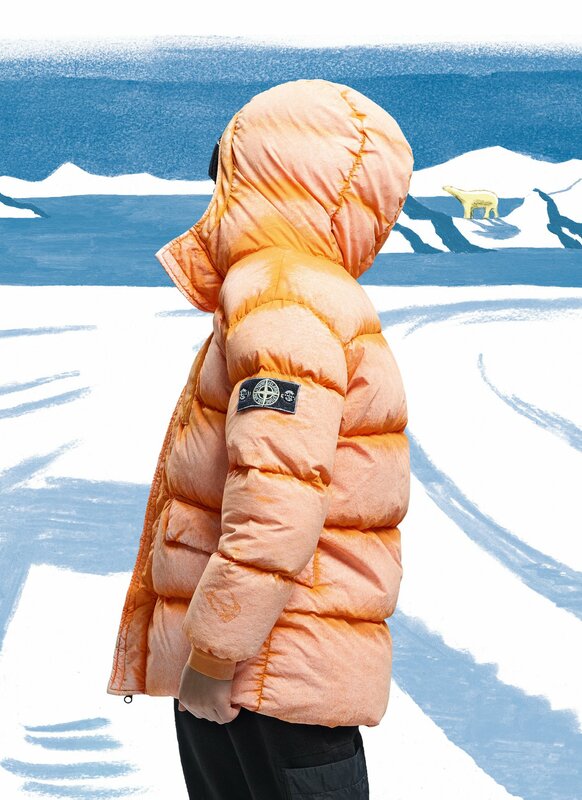 The brand symbol – Eight-point Wind Rose – and its aesthetics evoke the world of sailors, explorers, military men, whose garments offer optimal protection against the elements and at the same time ensure a social distinction function. 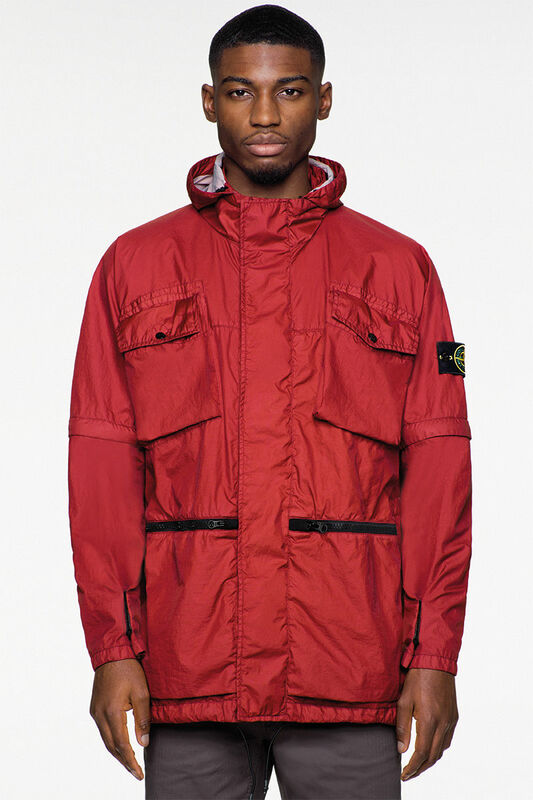 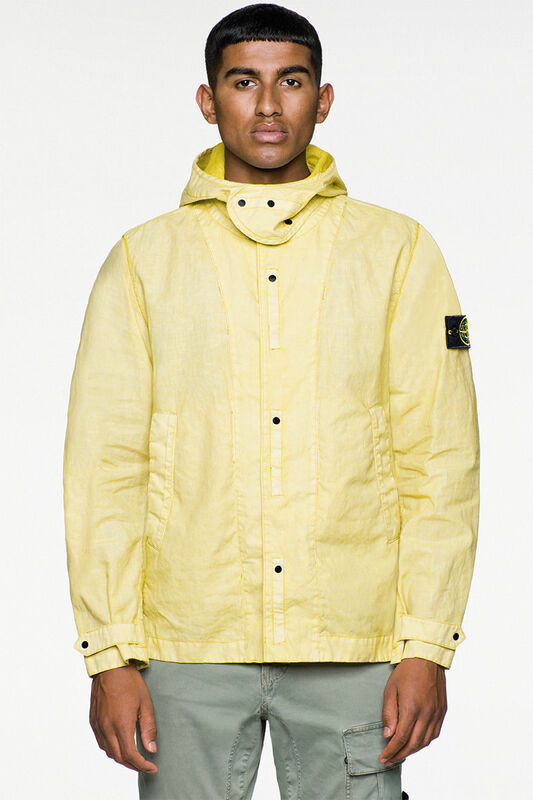 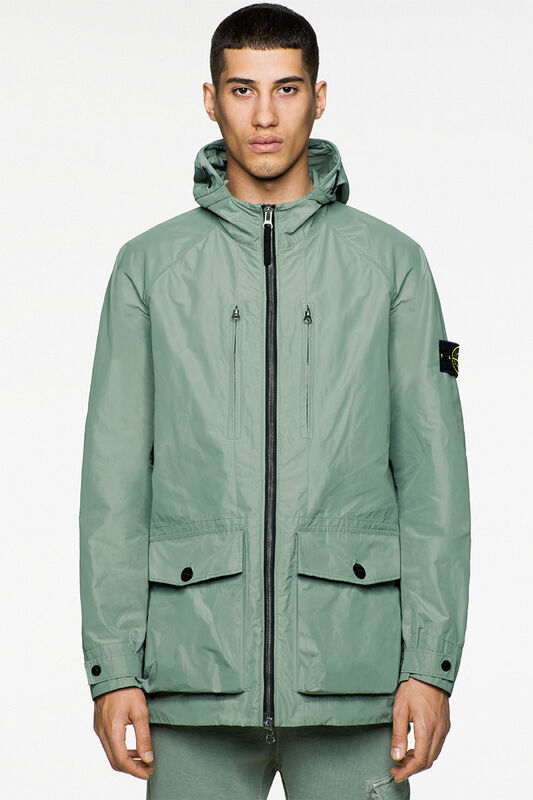 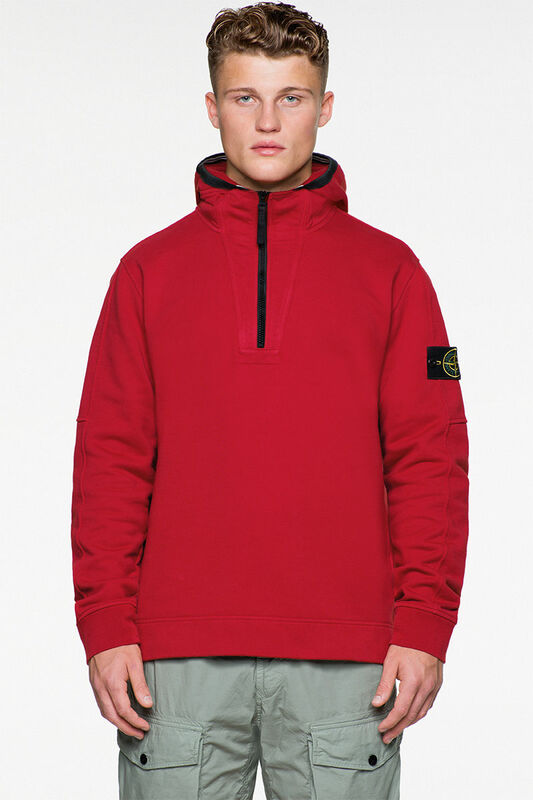 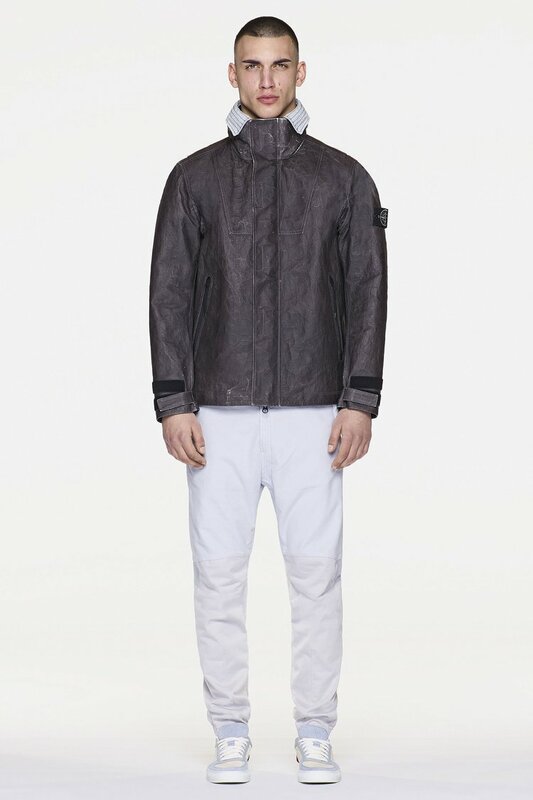 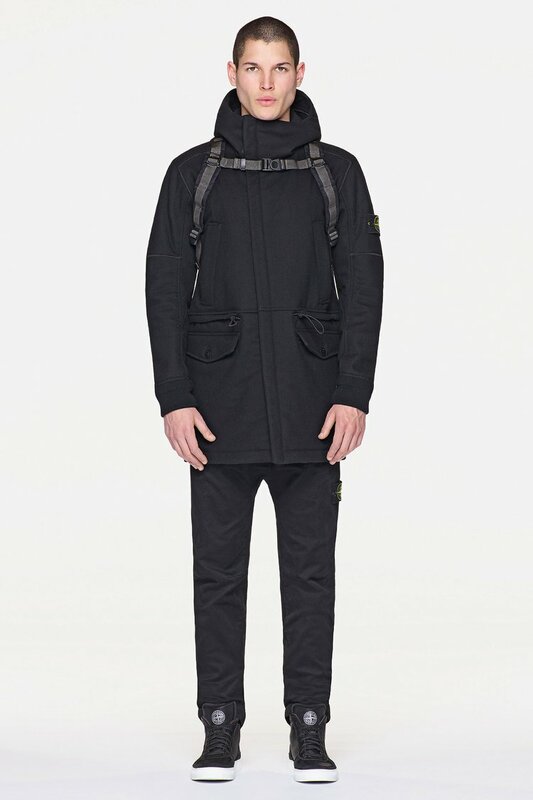 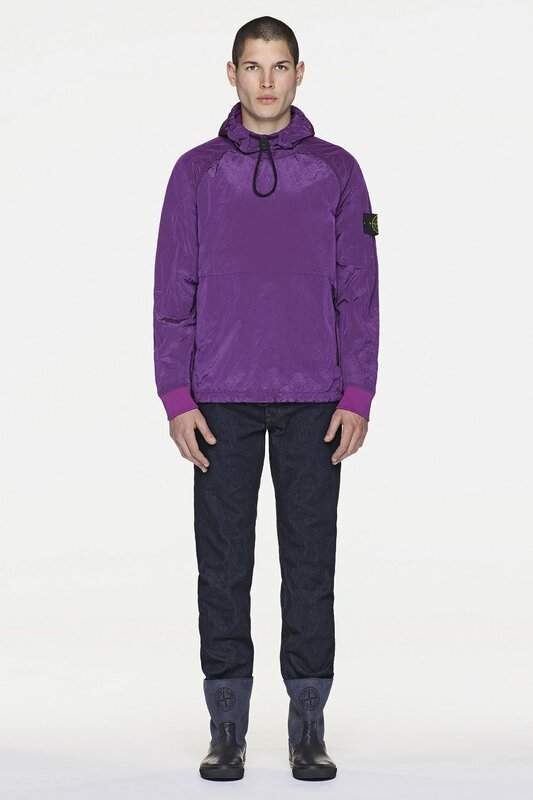 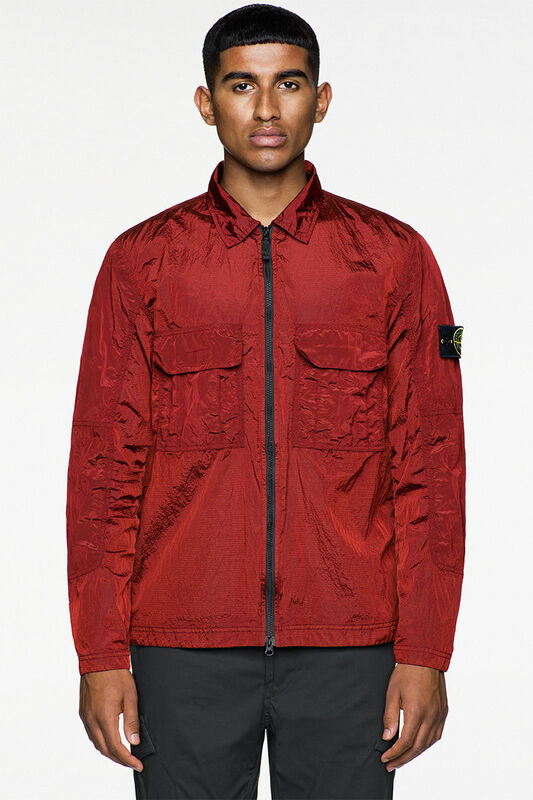 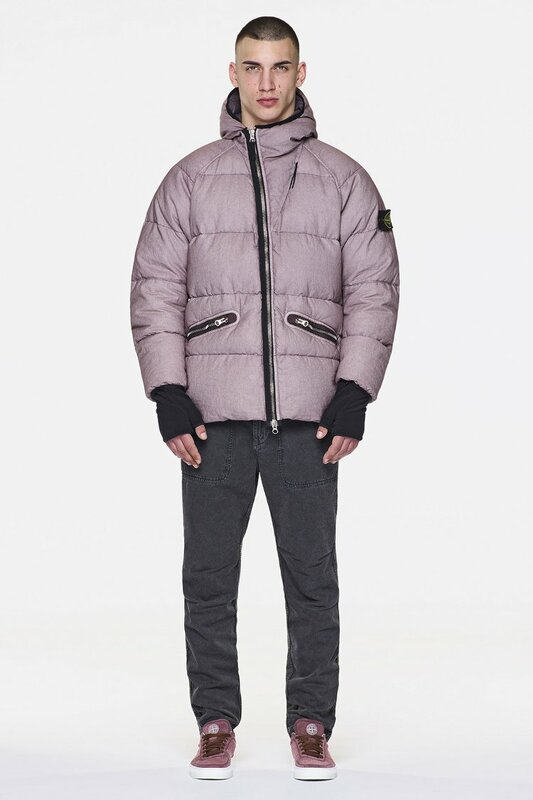 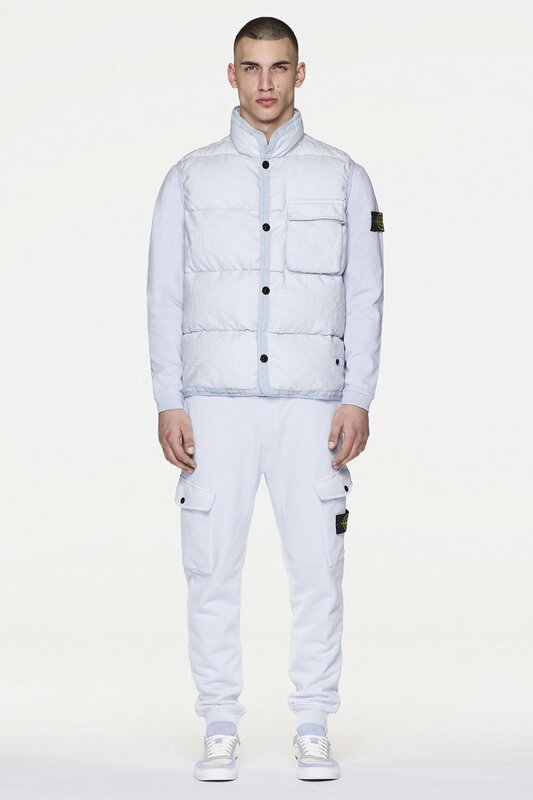 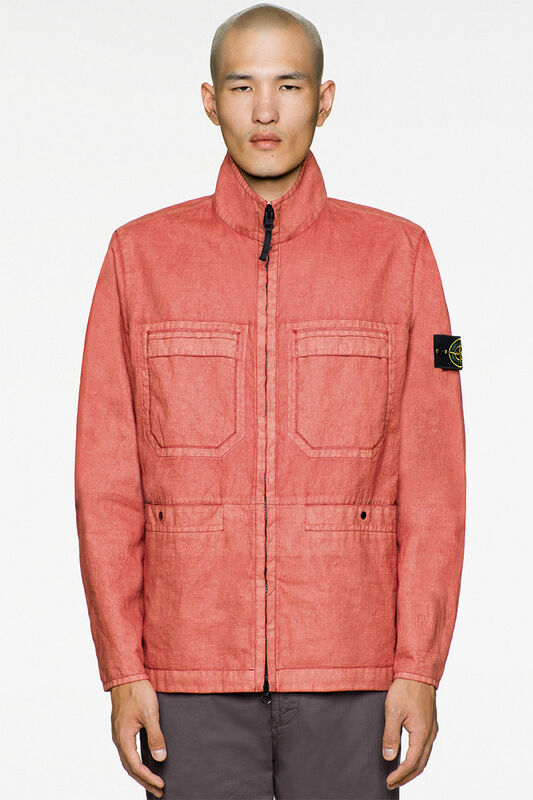 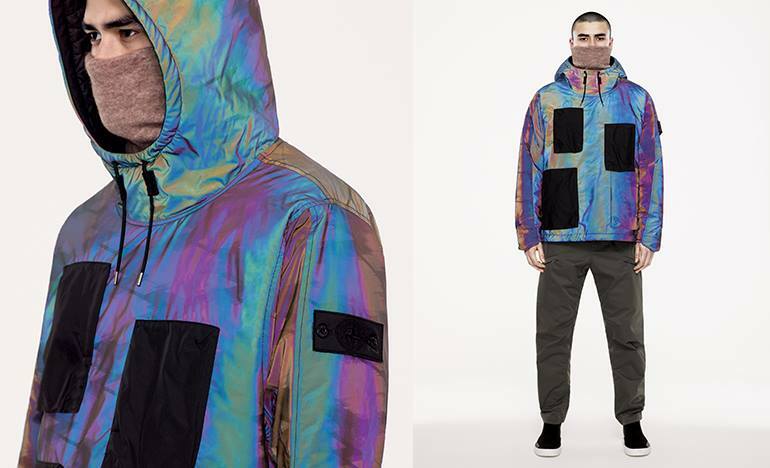 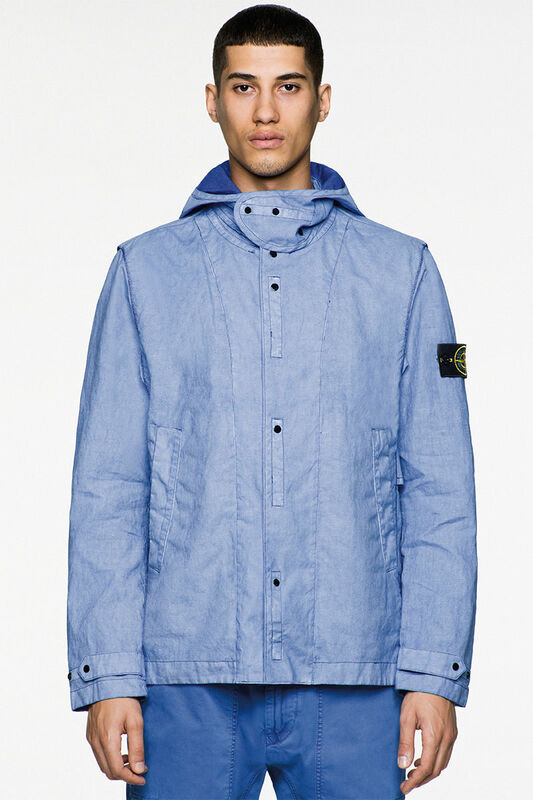 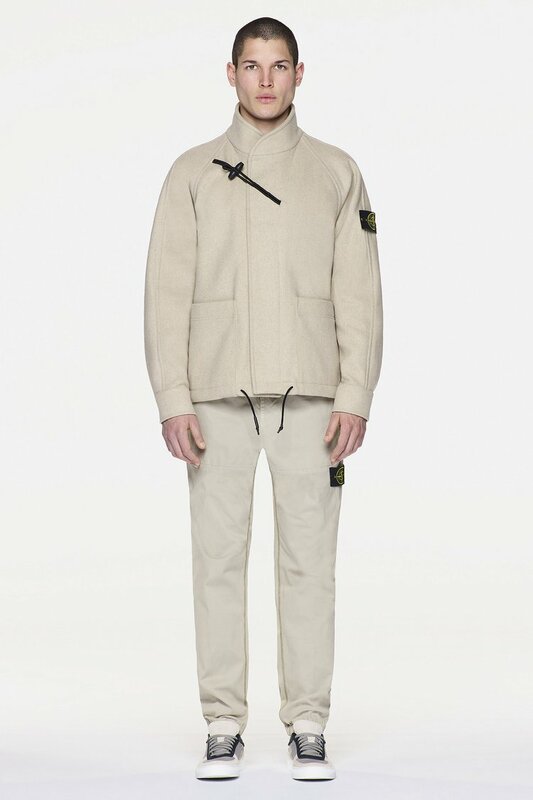 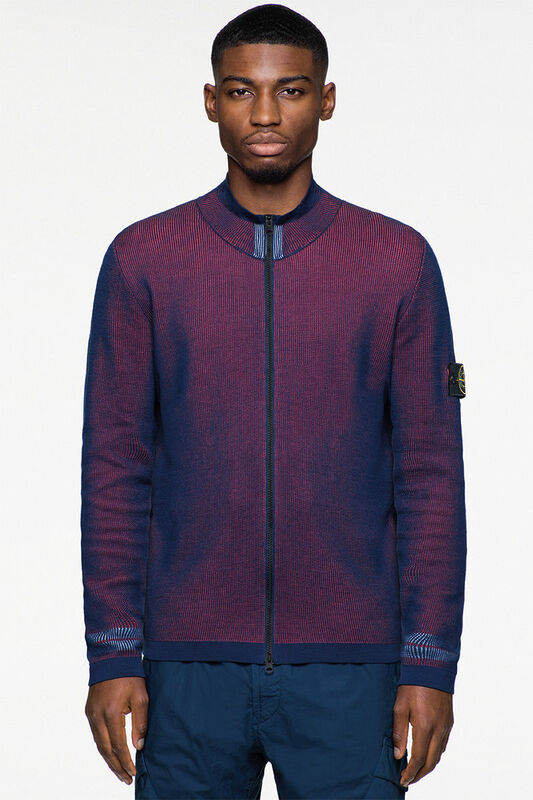 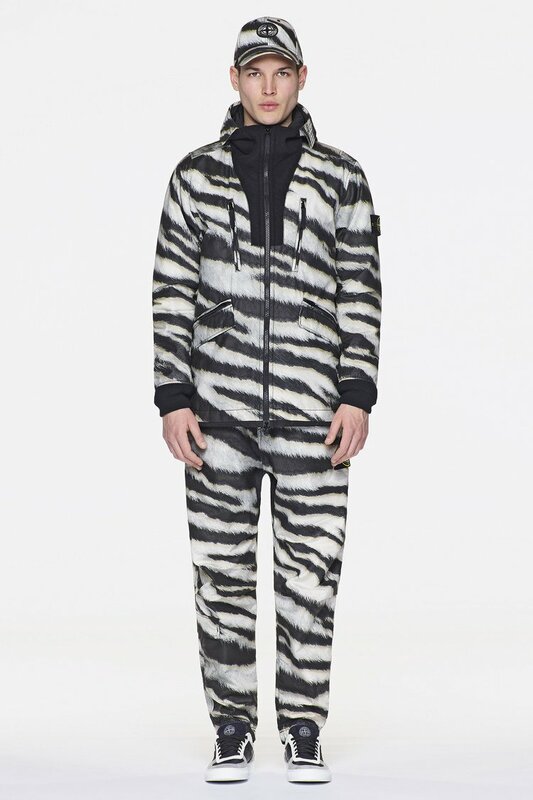 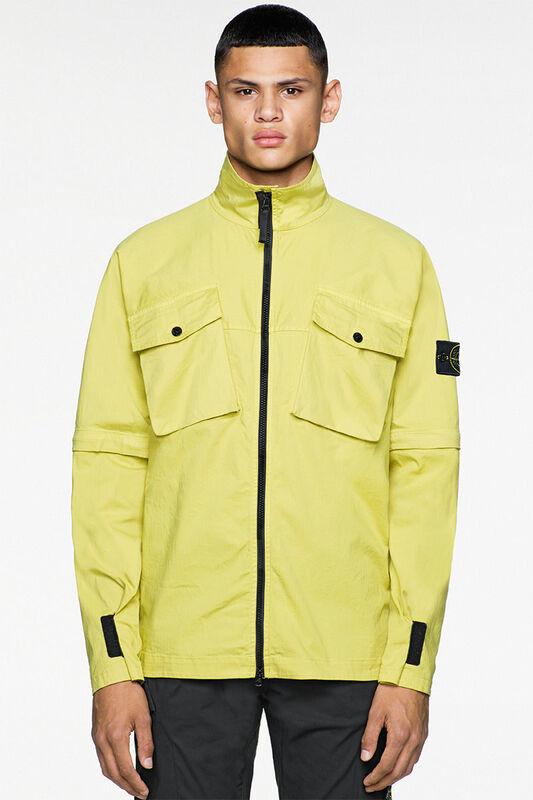 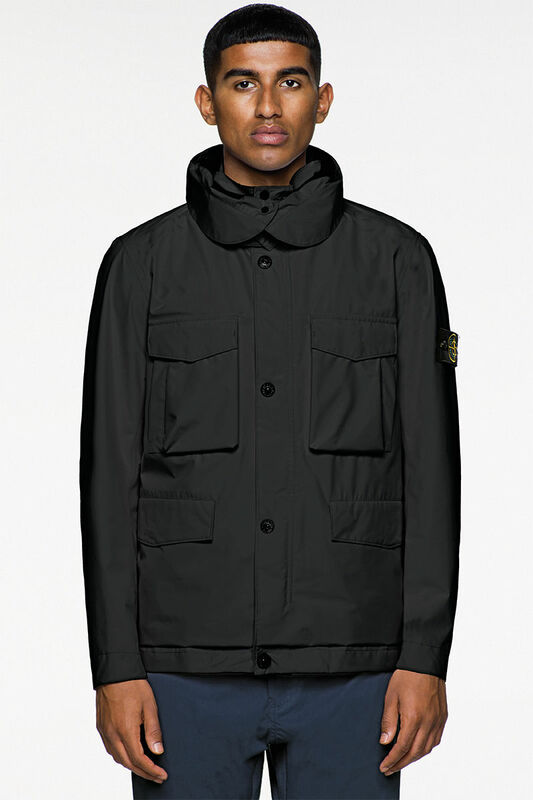 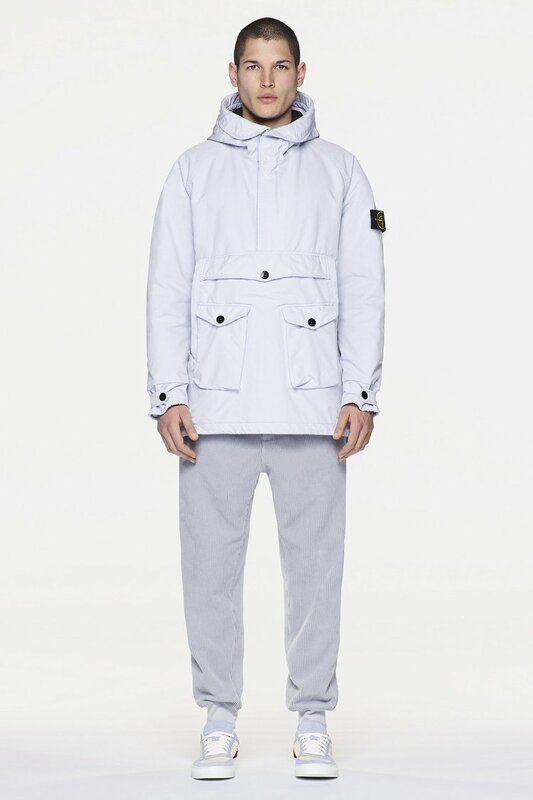 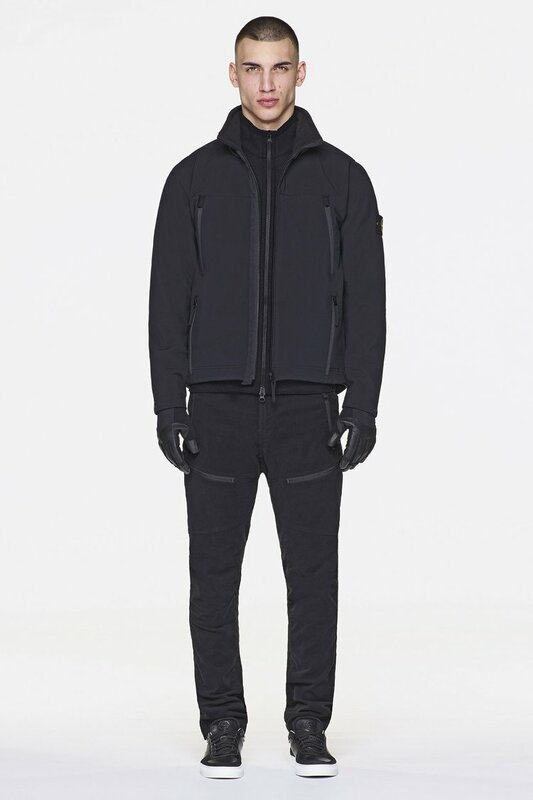 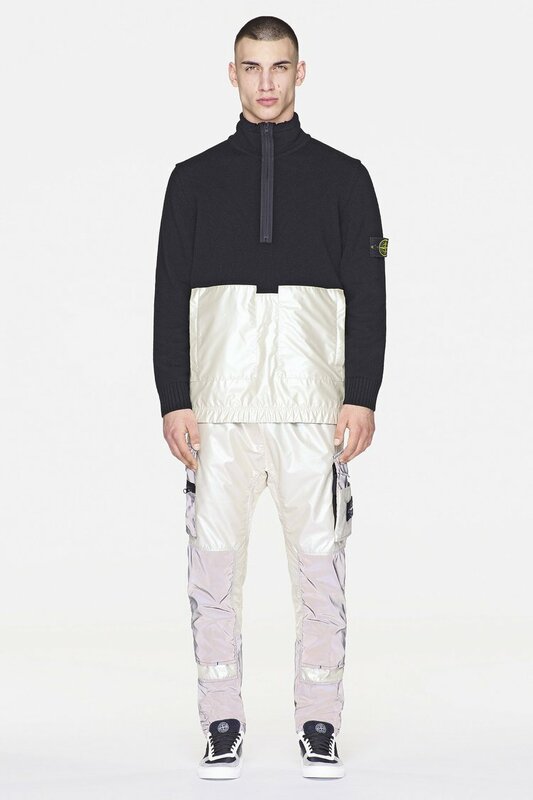 The technological procedures used in manufacturing of Stone Island clothes are frequently borrowed from various industries and, thus, allow to produce extraordinary objects. 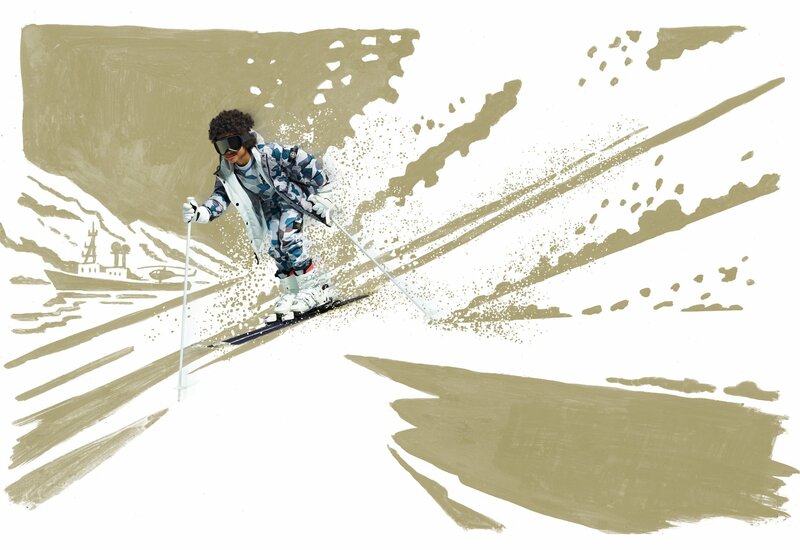 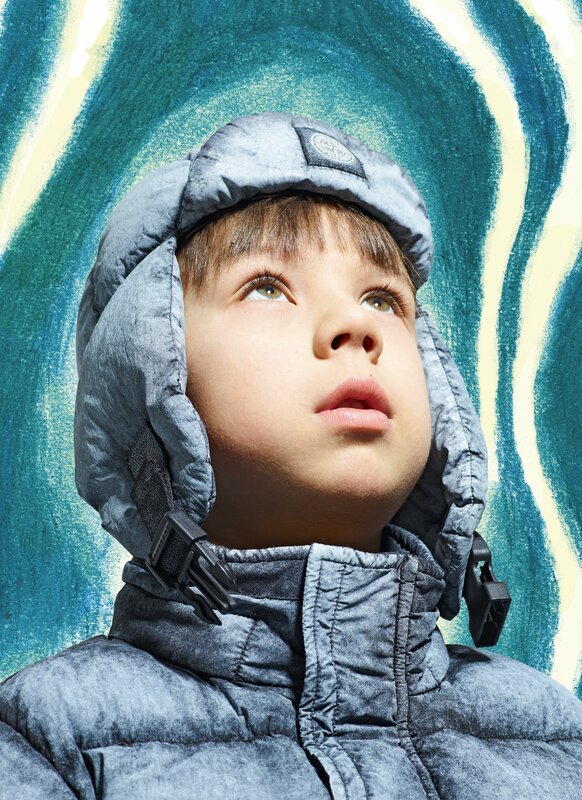 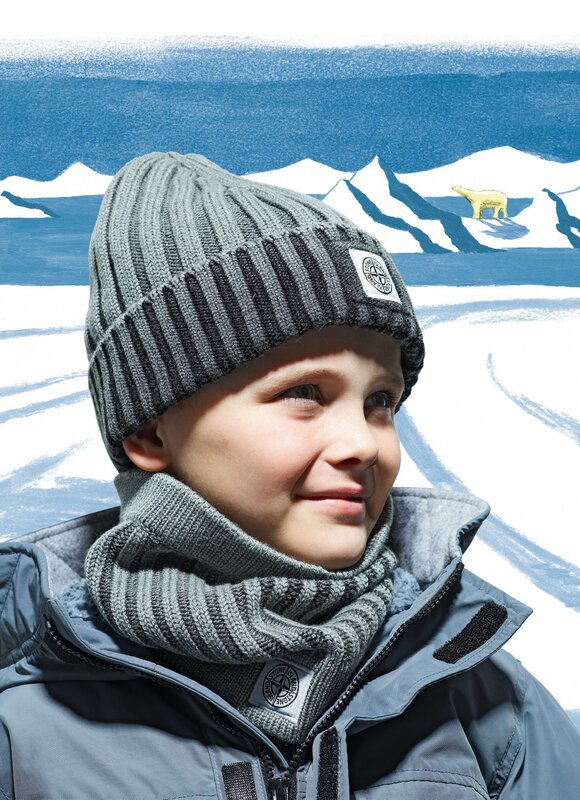 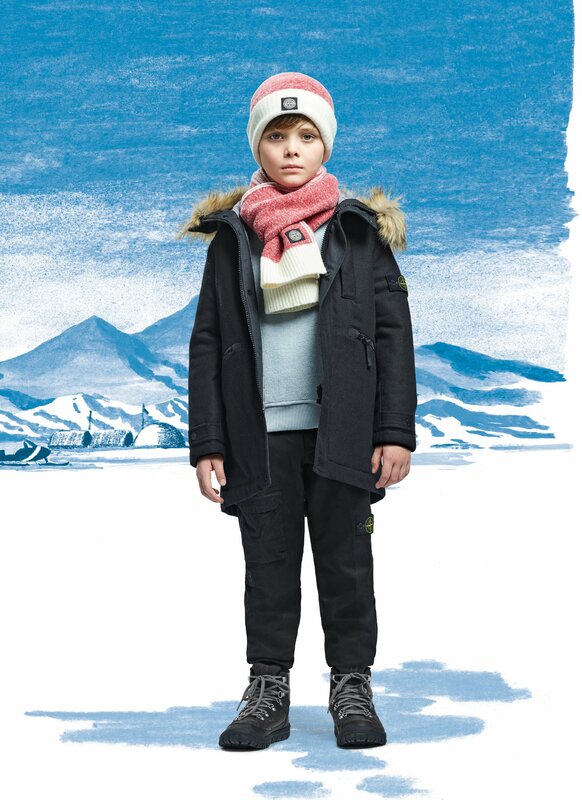 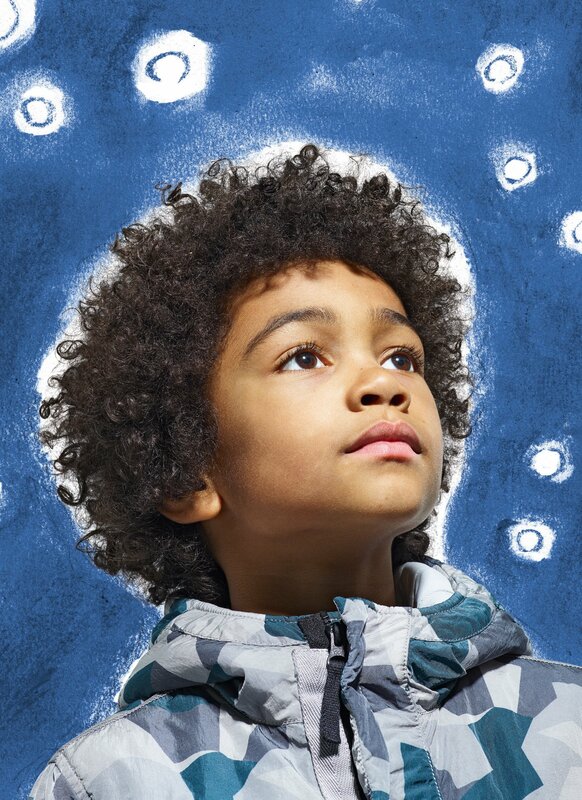 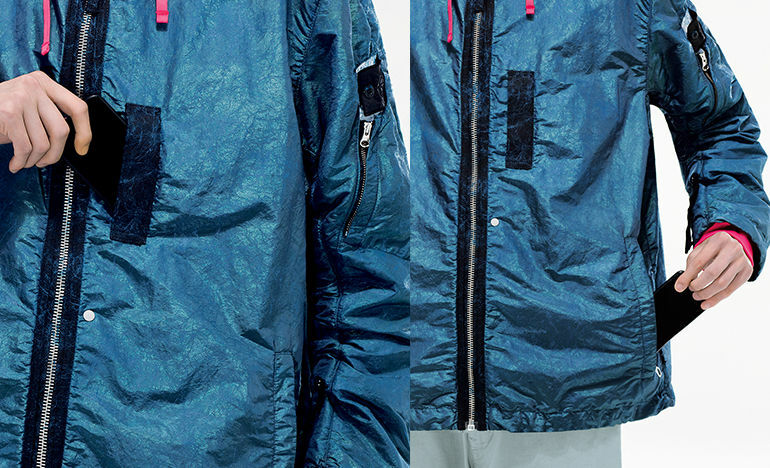 Outdoor jackets are made from nylon monofilament that creates a dense mesh derived from water filtering technology. 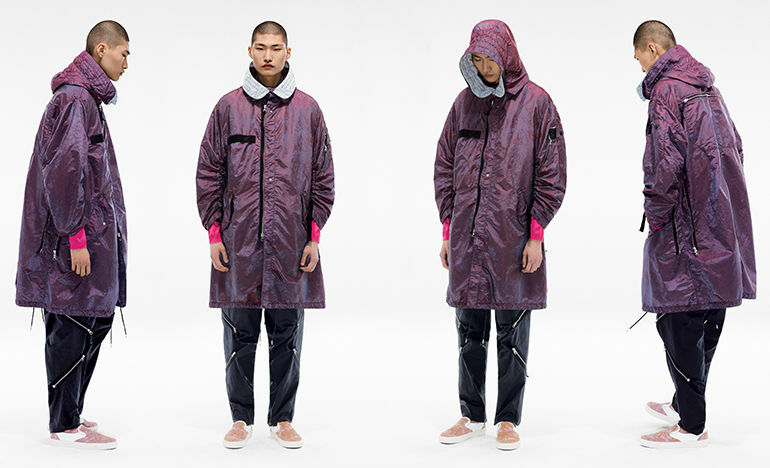 Lightweight nylon films are vacuum coated with a microscopic stainless steel film and used in aviation technology to protect onboard computers. 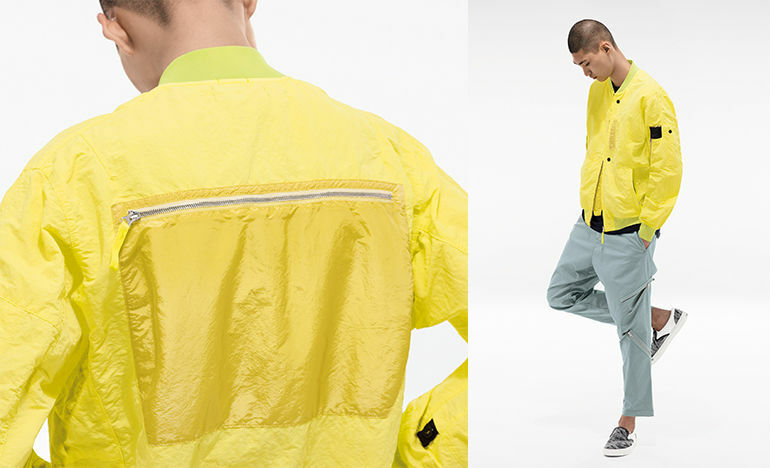 Non-woven fabrics, polyamide fiber felts, rhomboid nylon mesh are used in the construction industry with a polyurethane coating. 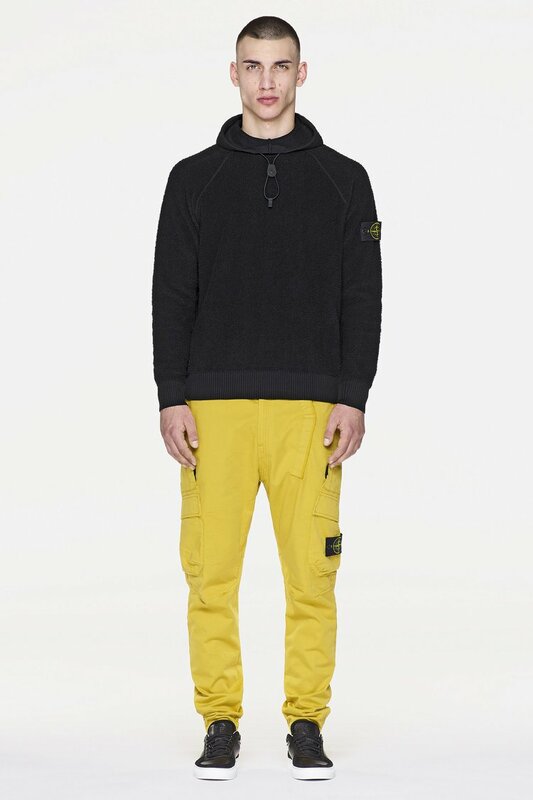 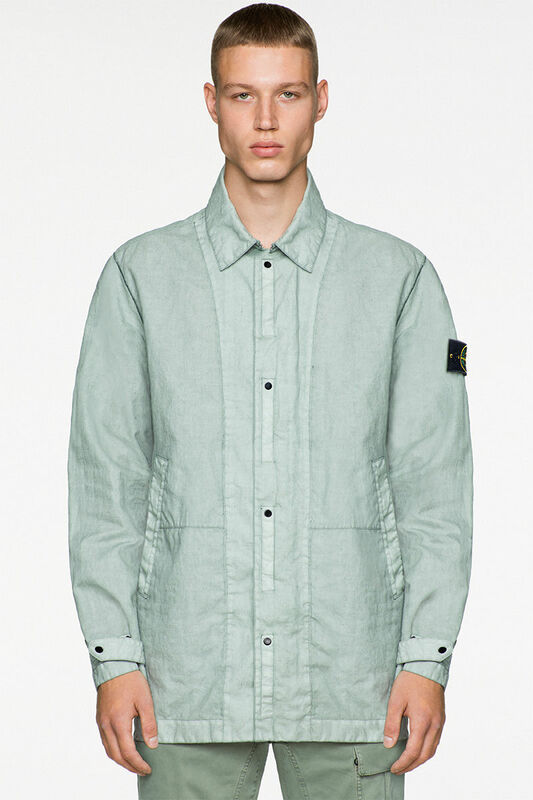 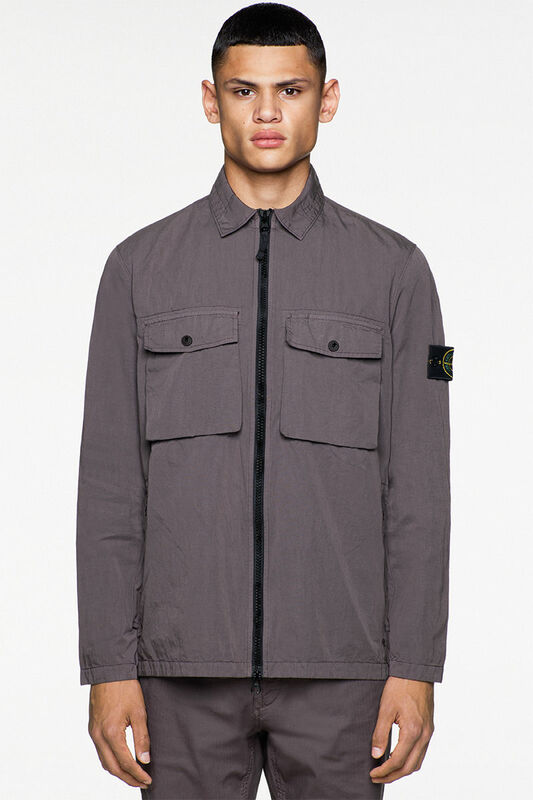 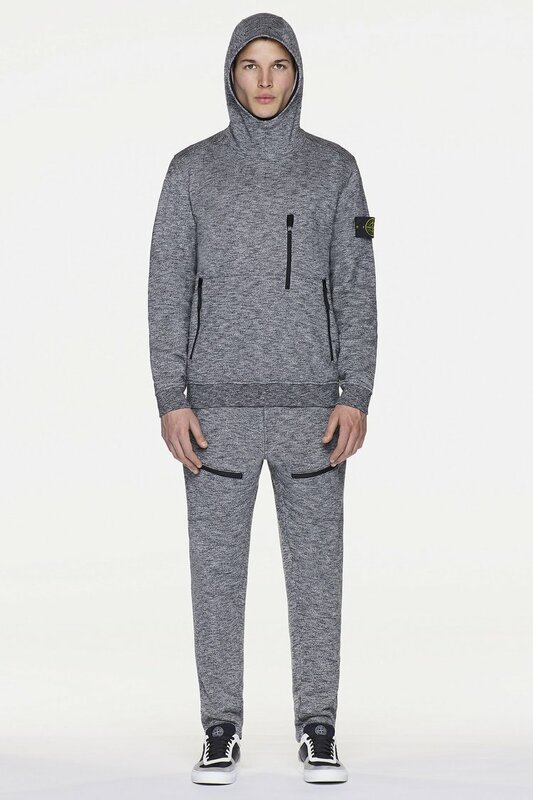 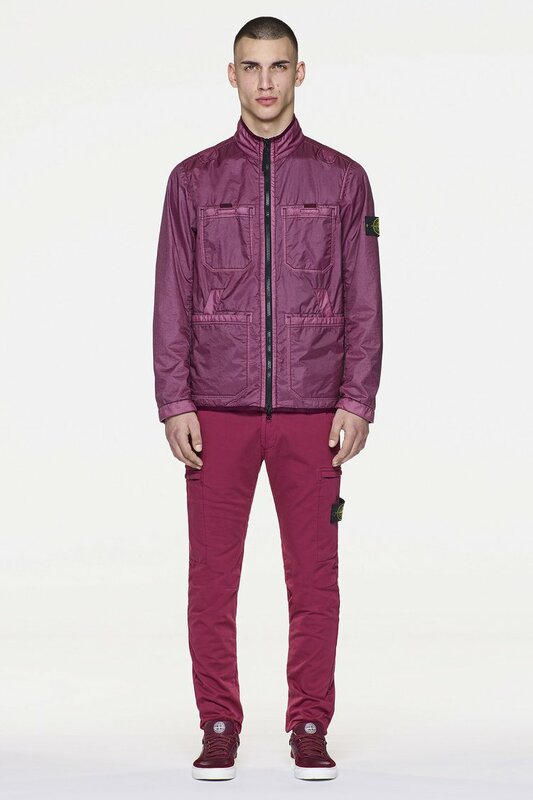 These are just some examples of fabrics of Stone Island garments. 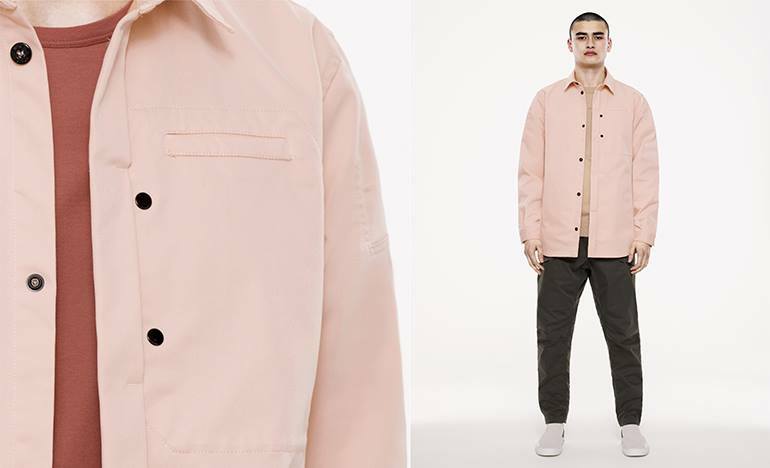 Uniforms and other workwear is also a source of inspiration and research object for the brand stylists who believe that the function of clothing is not limited to its aesthetics. 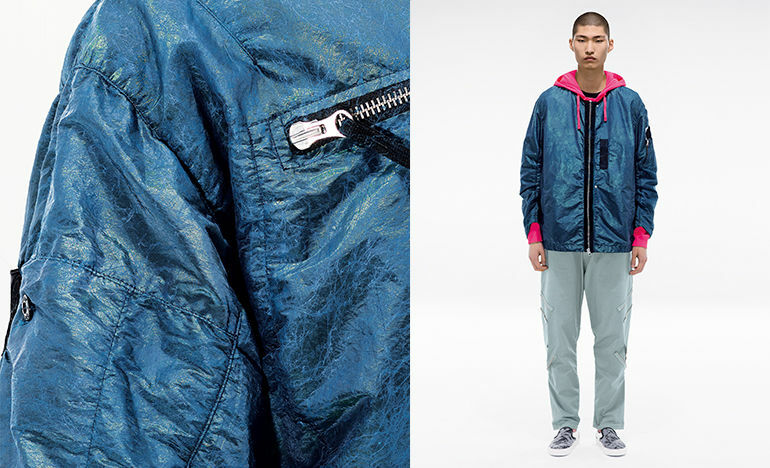 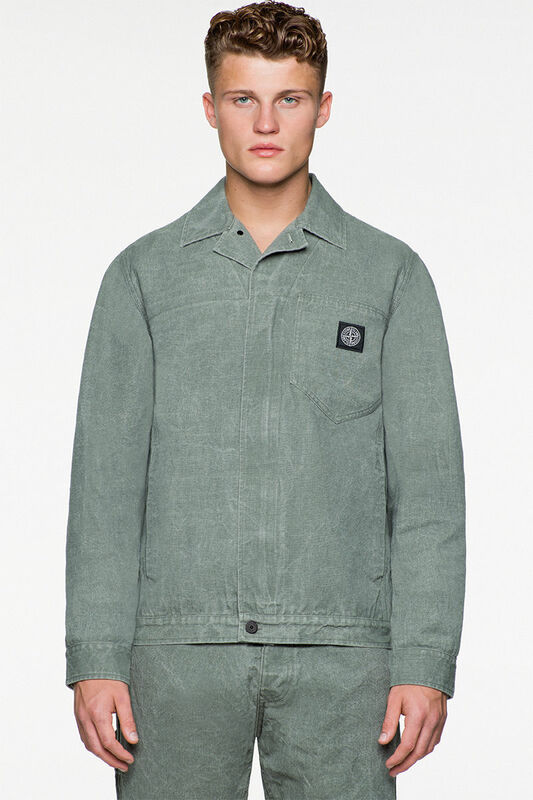 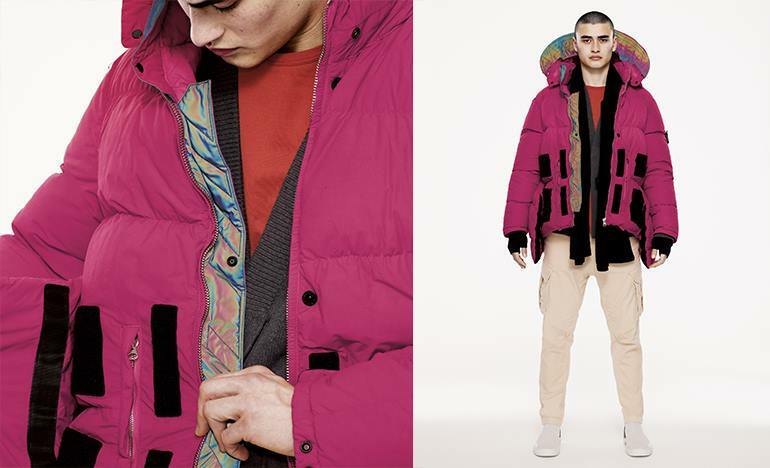 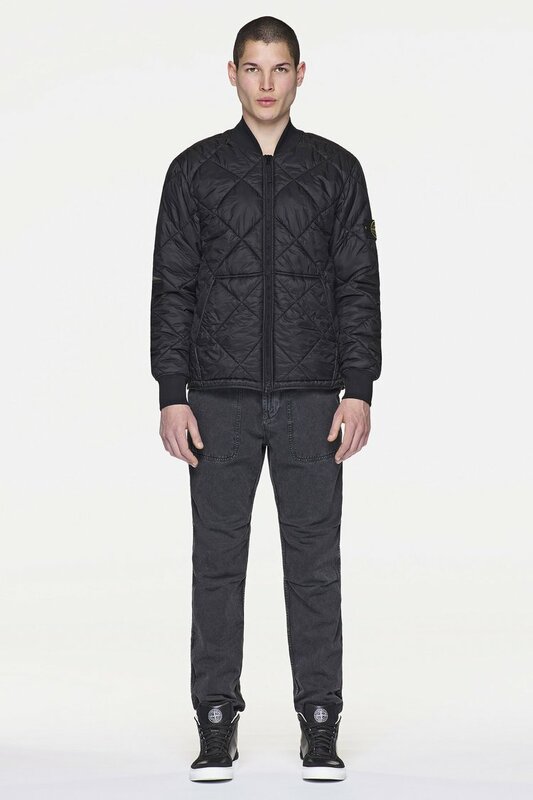 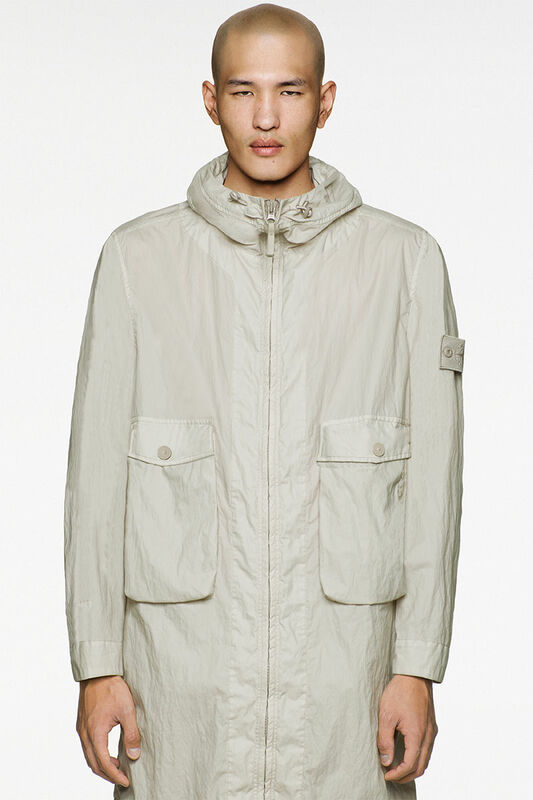 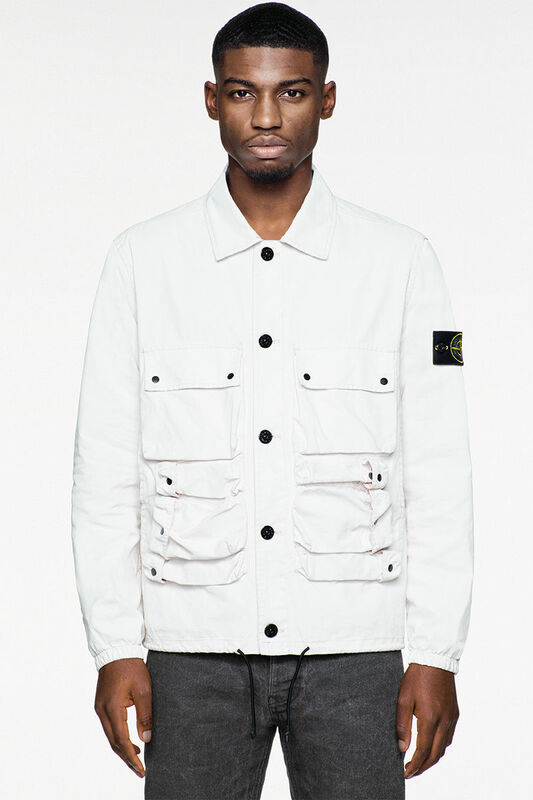 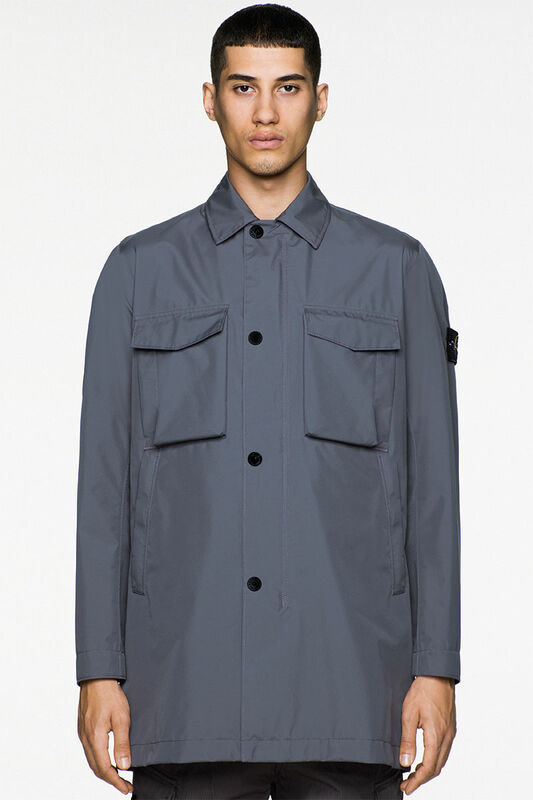 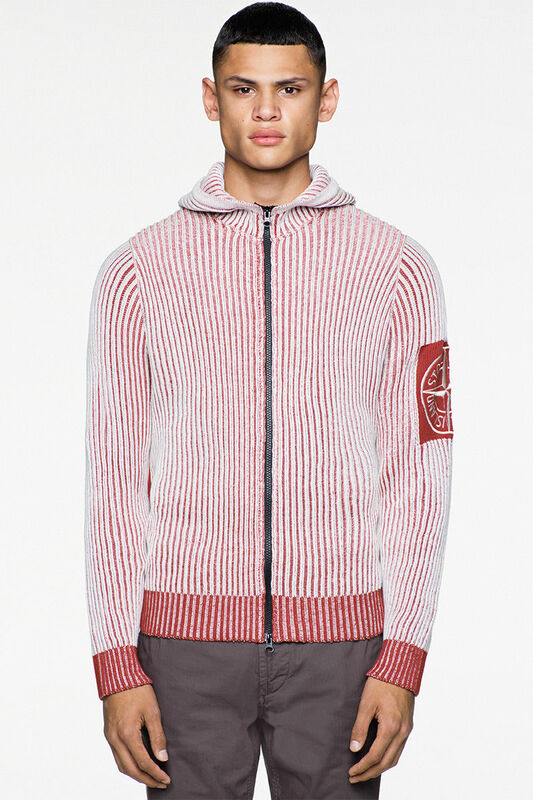 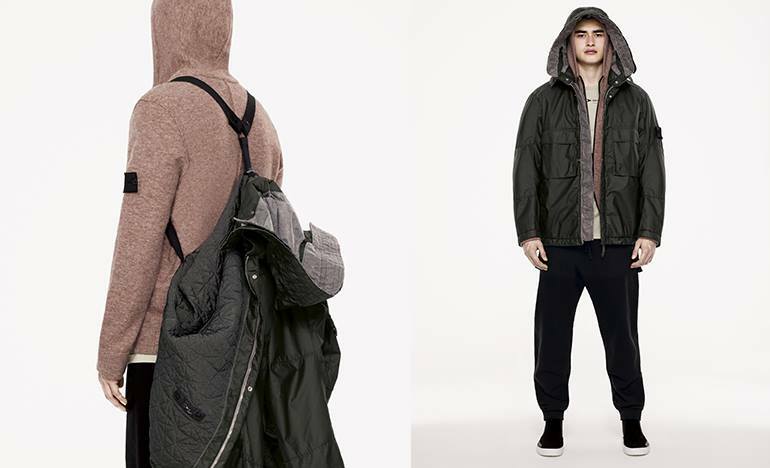 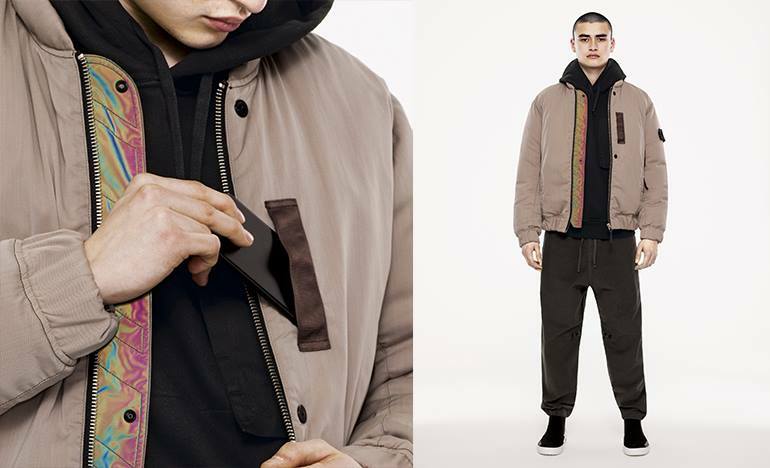 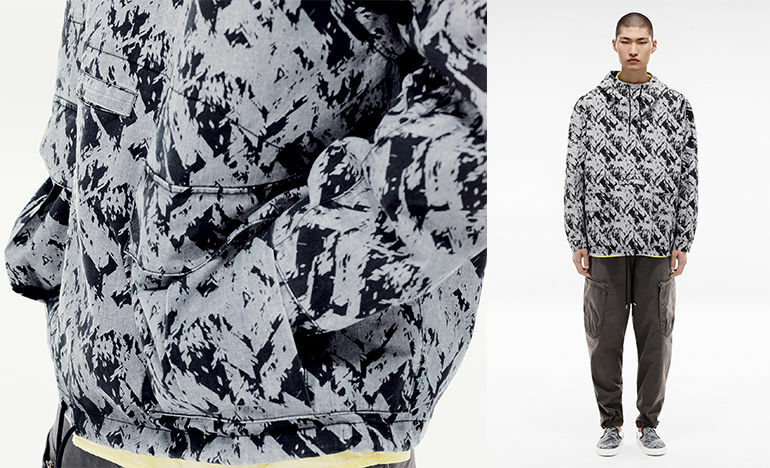 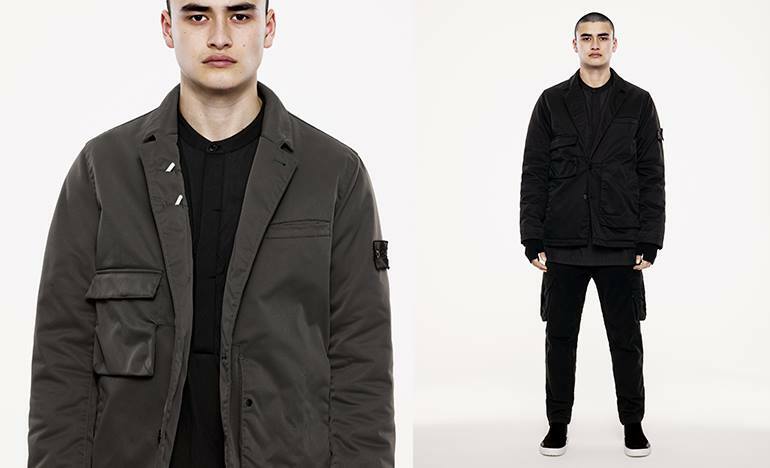 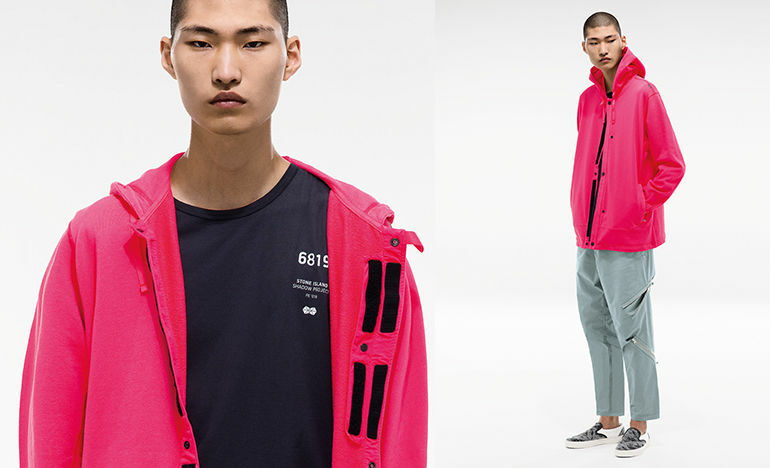 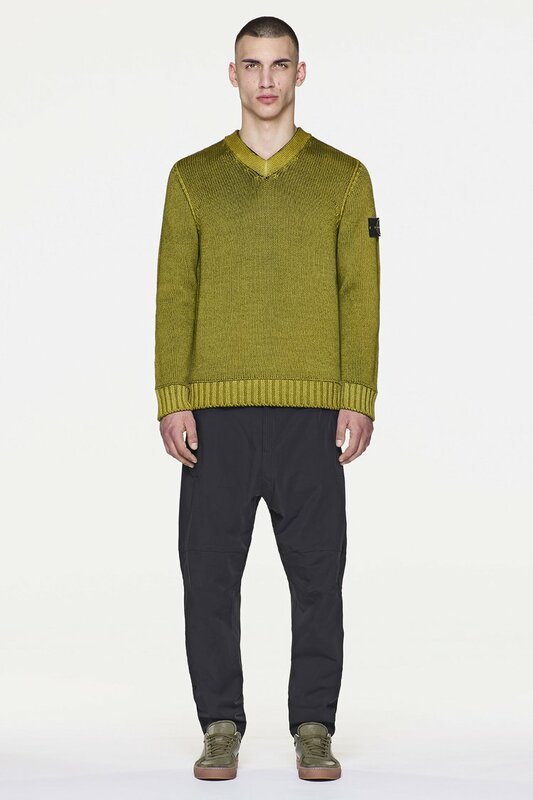 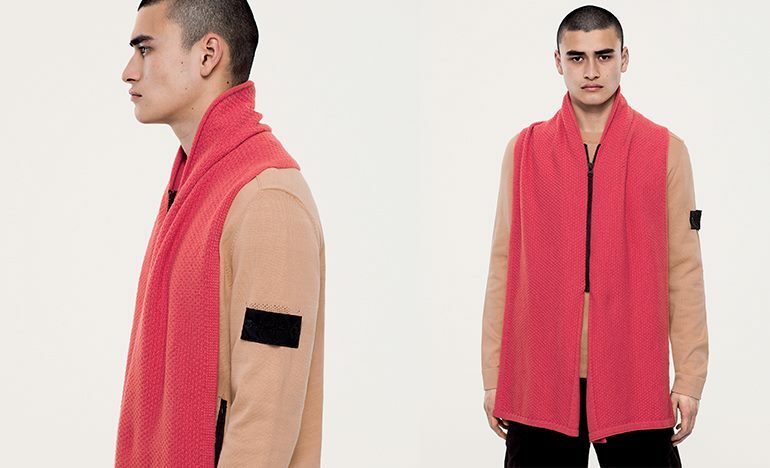 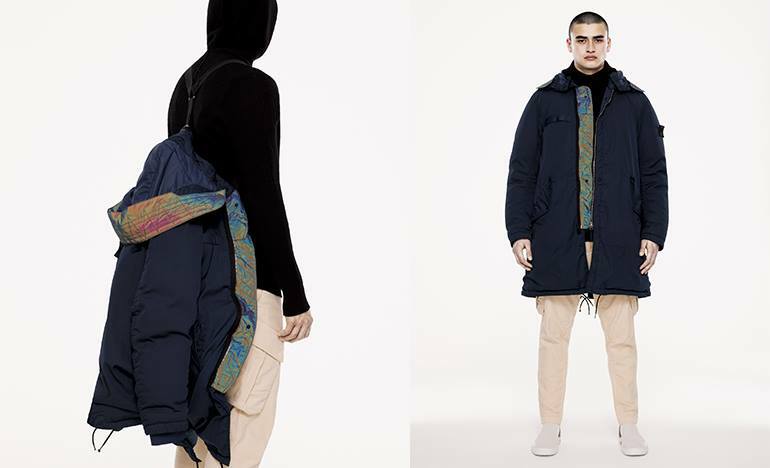 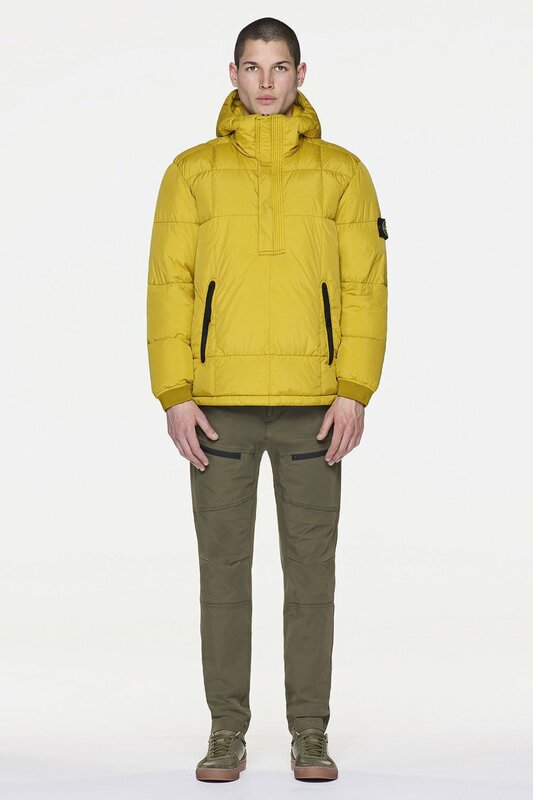 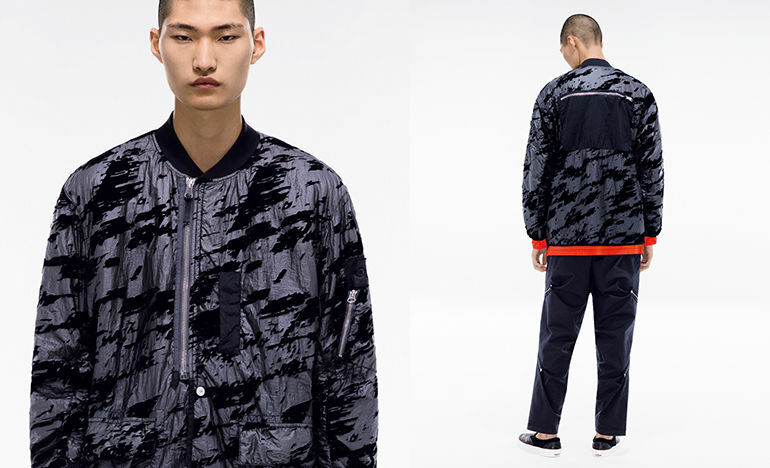 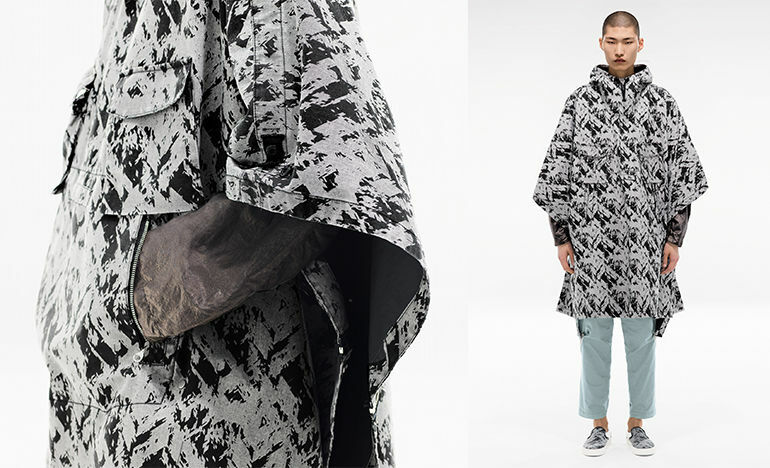 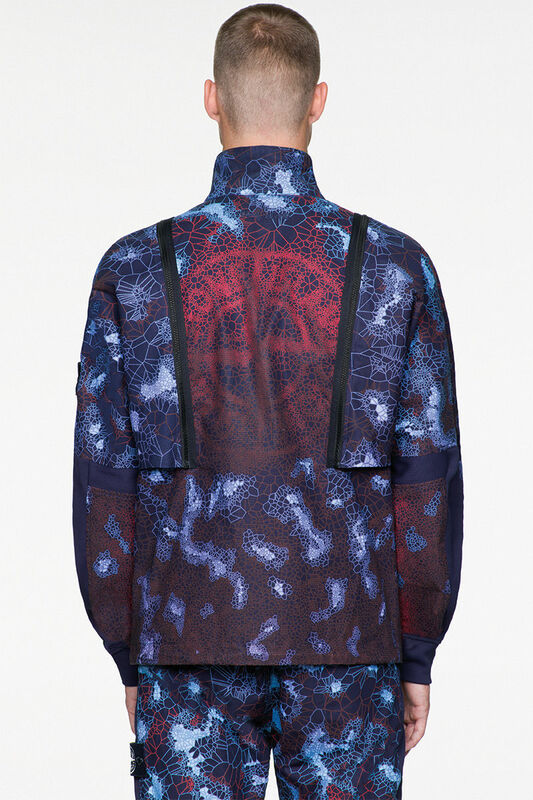 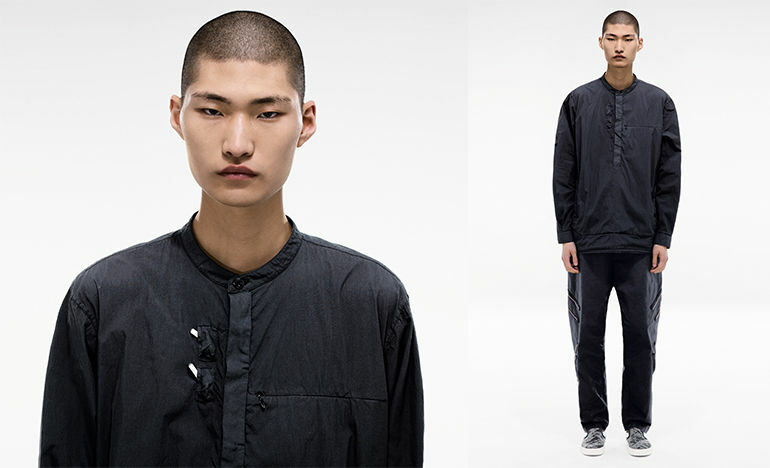 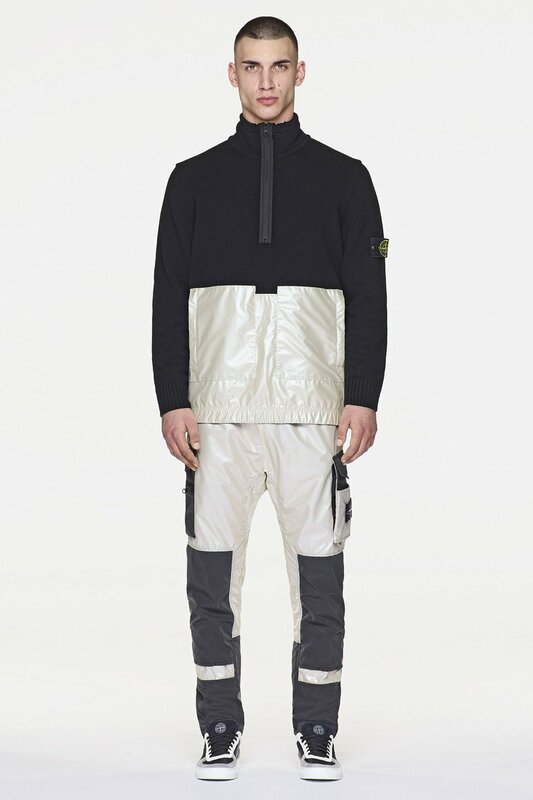 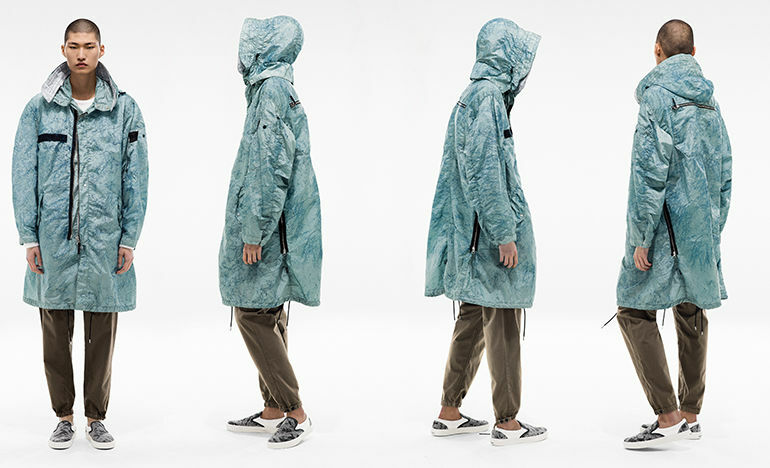 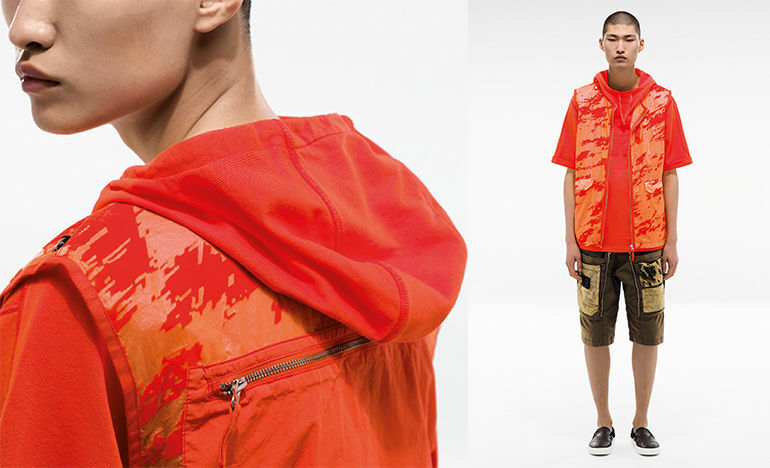 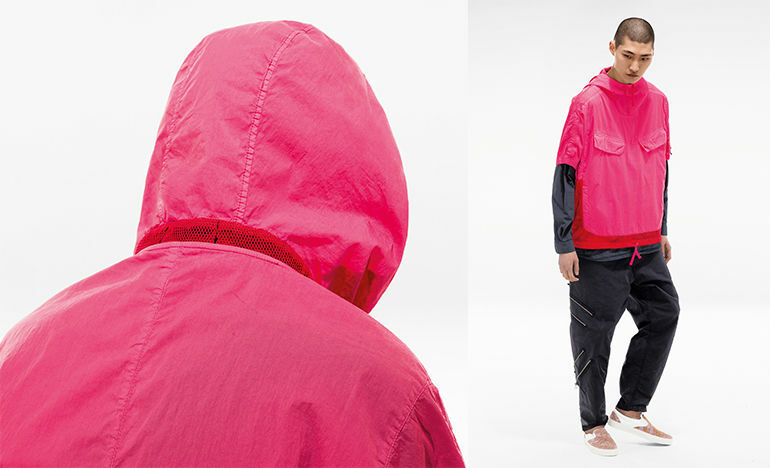 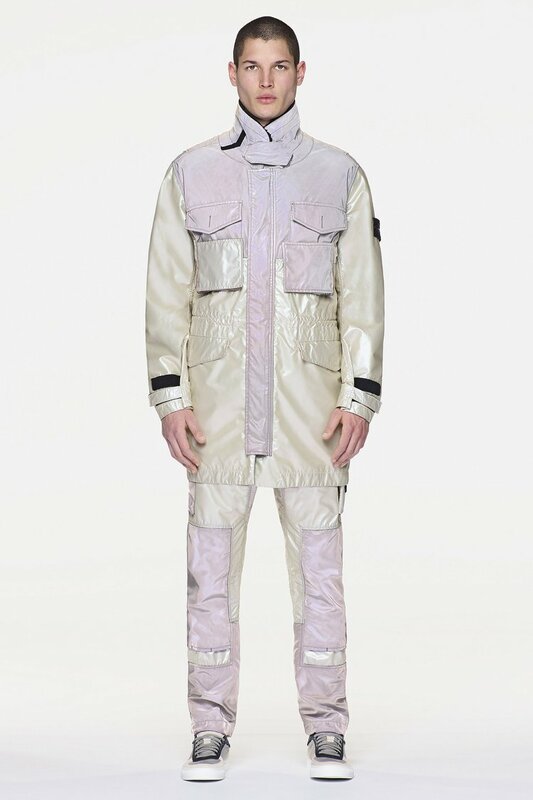 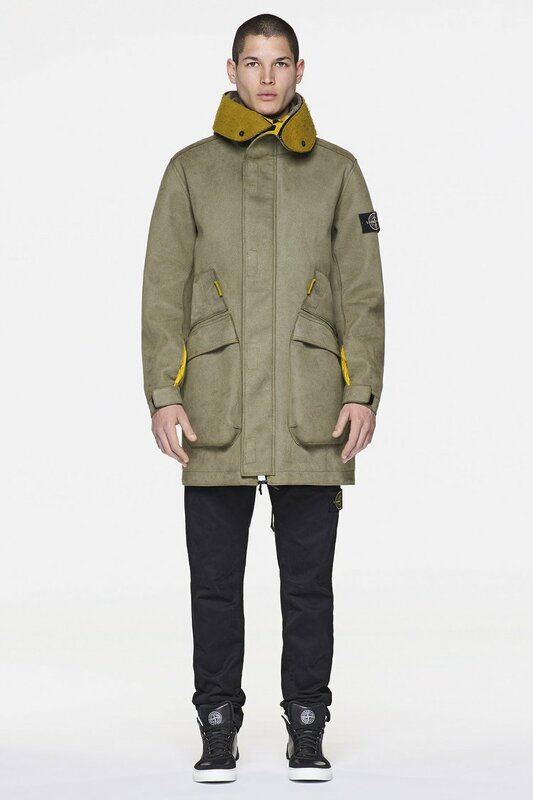 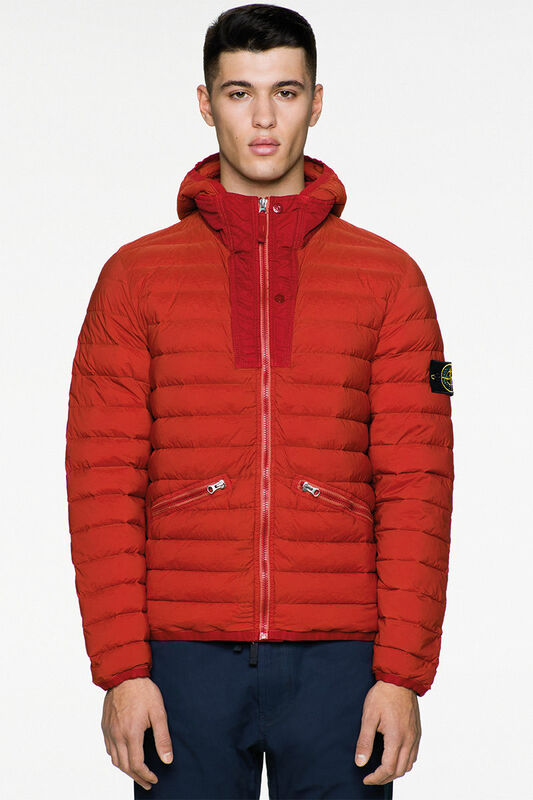 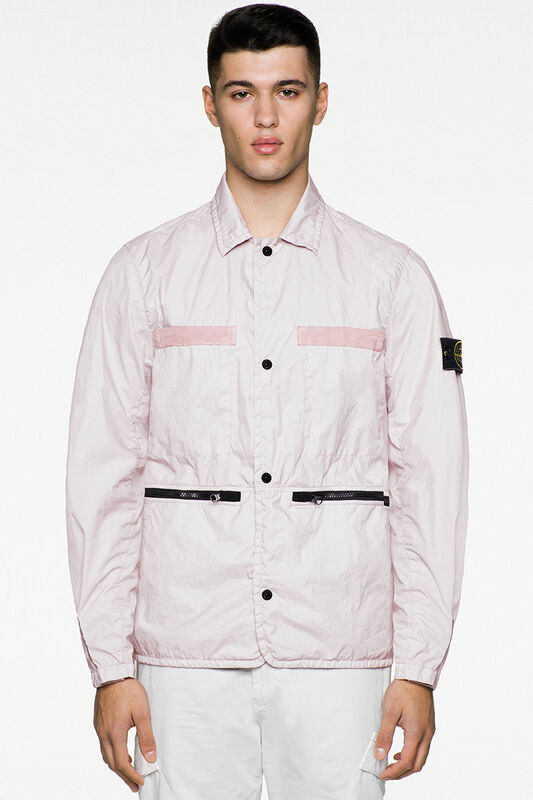 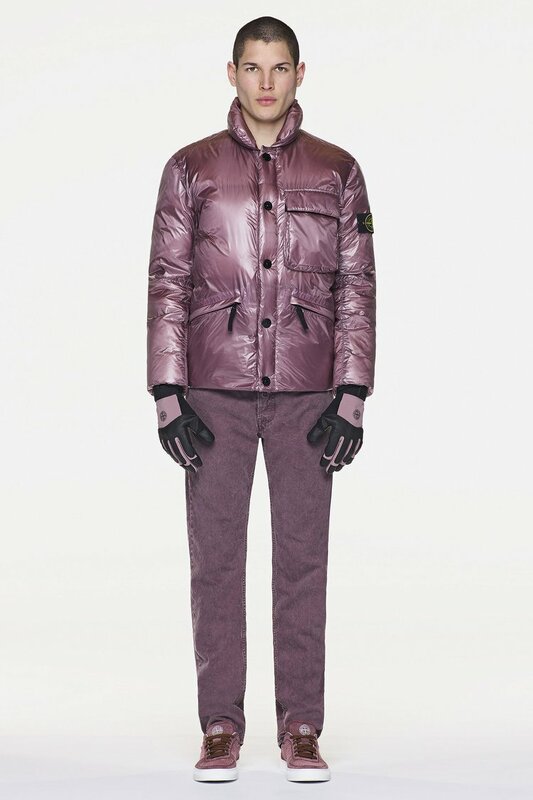 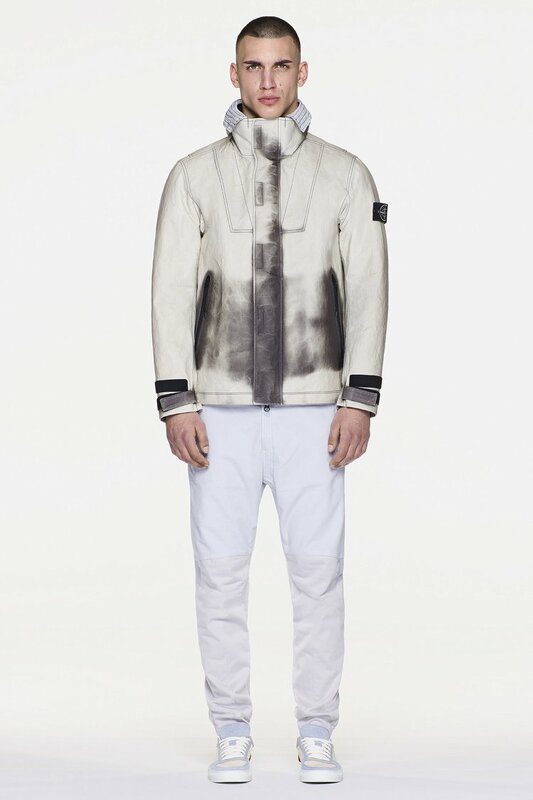 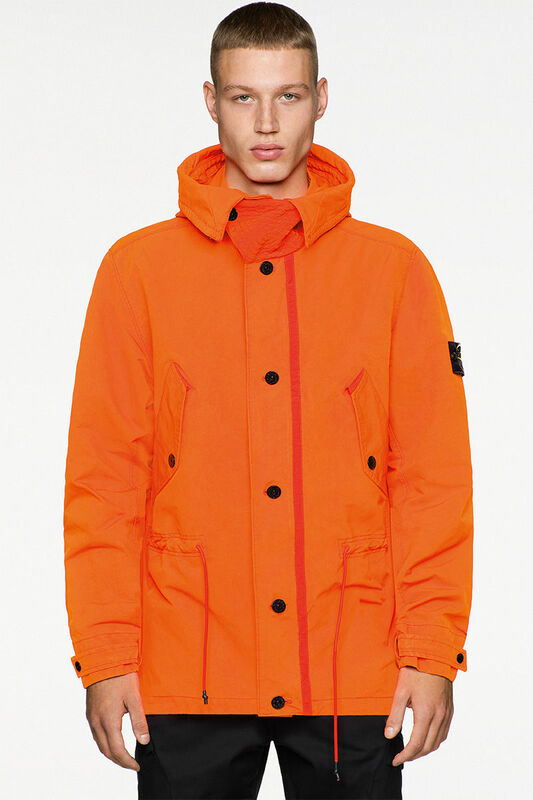 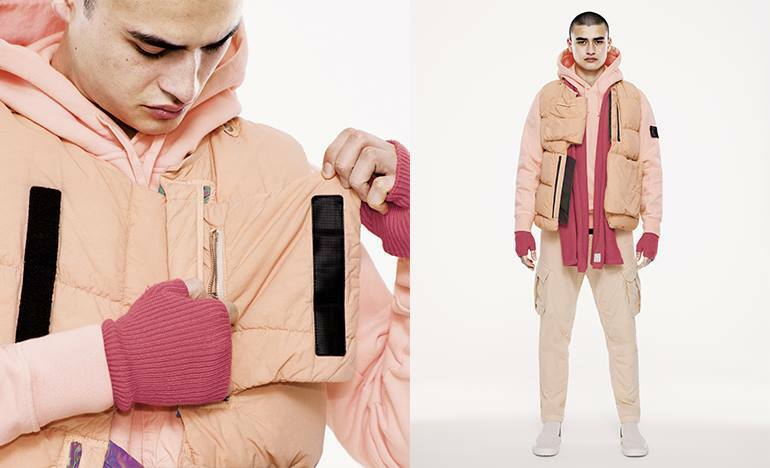 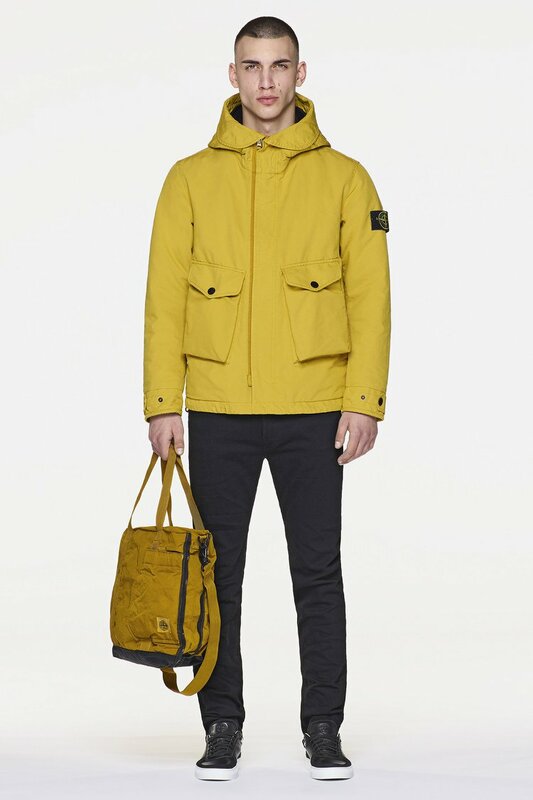 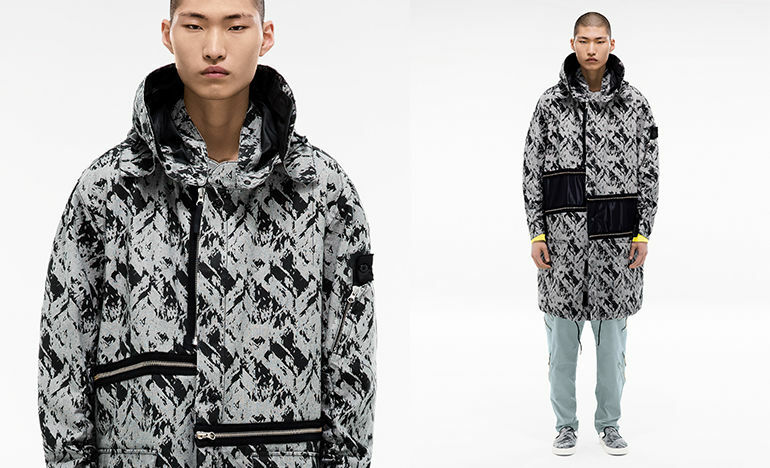 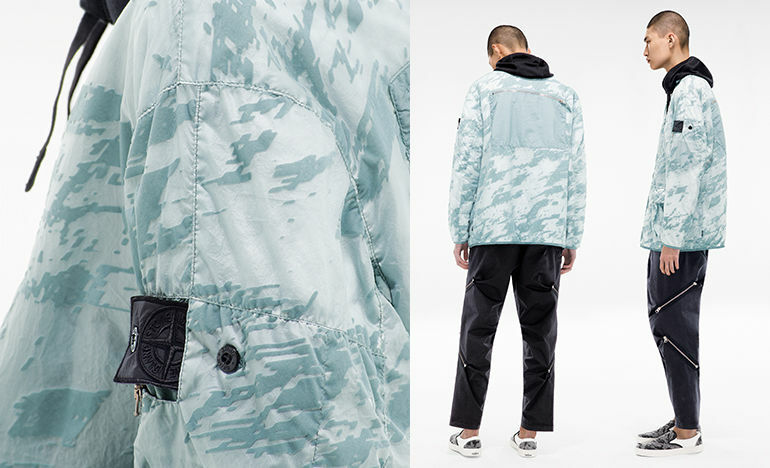 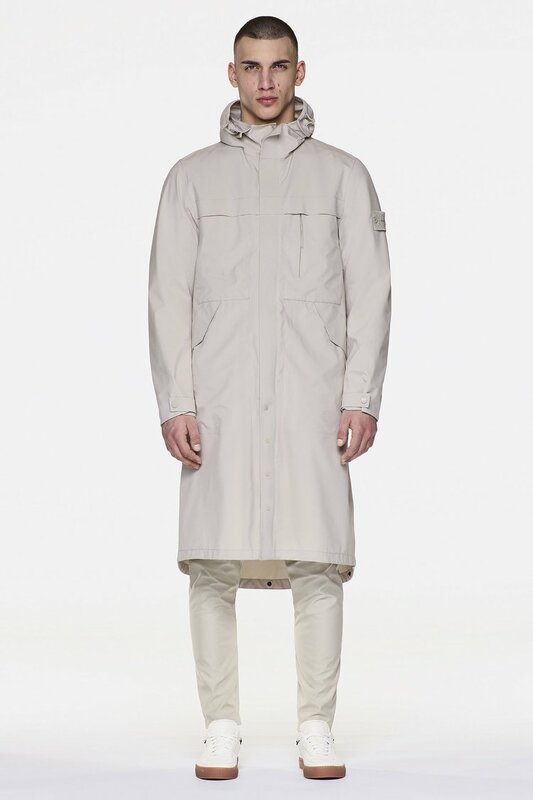 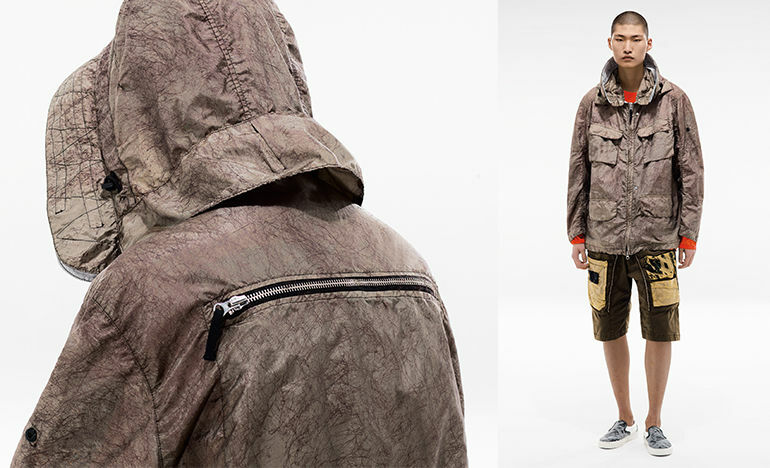 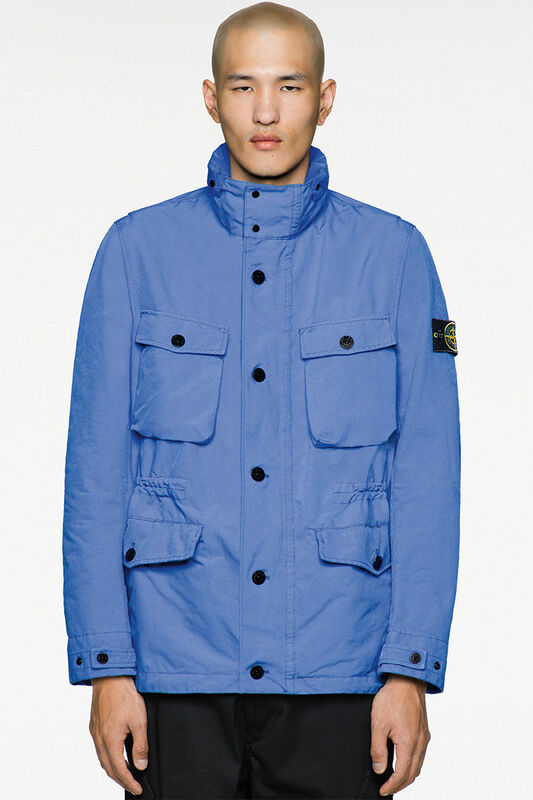 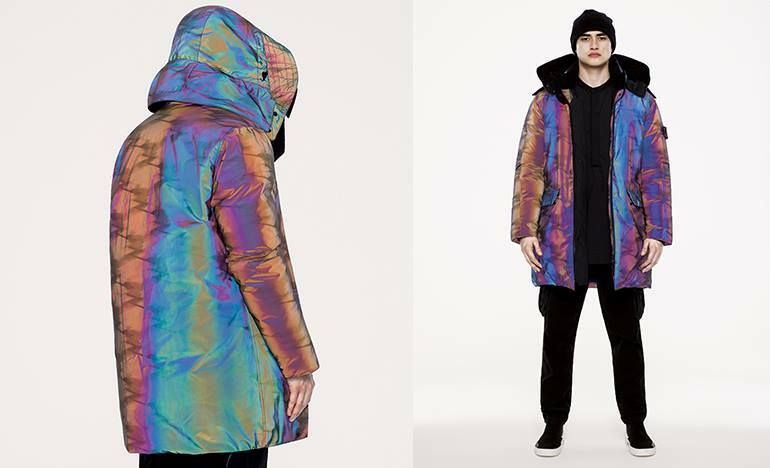 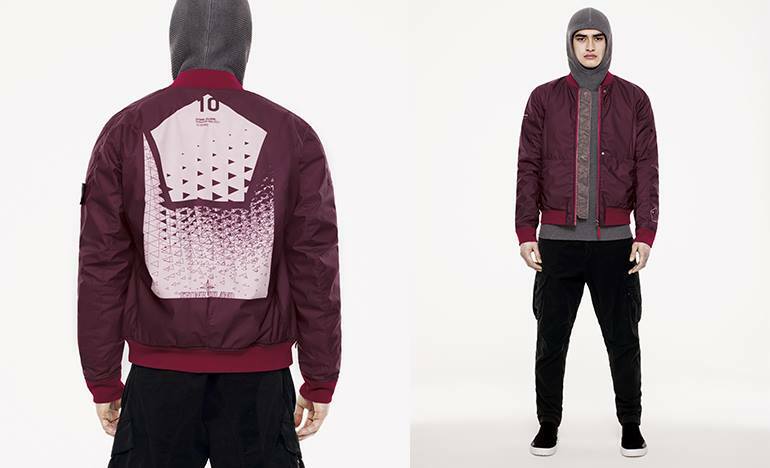 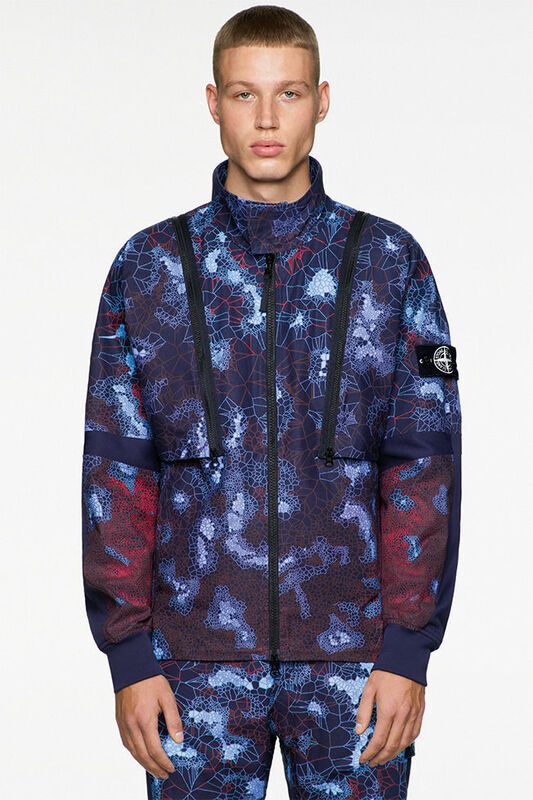 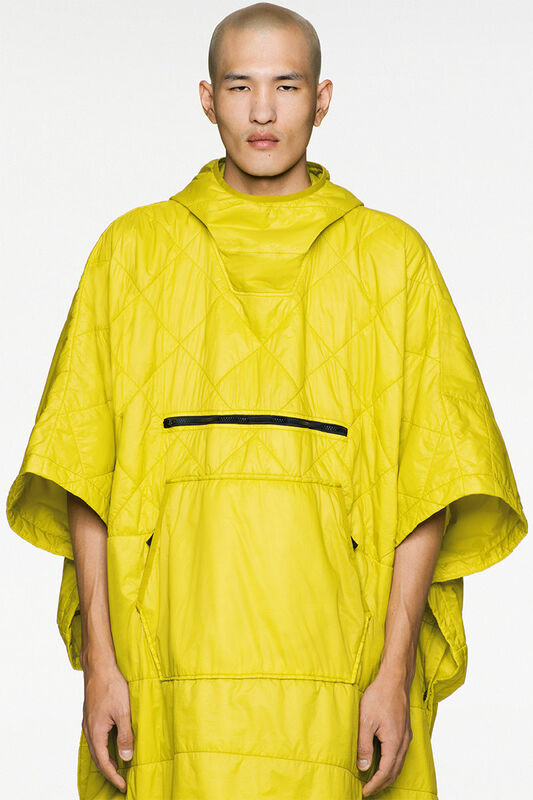 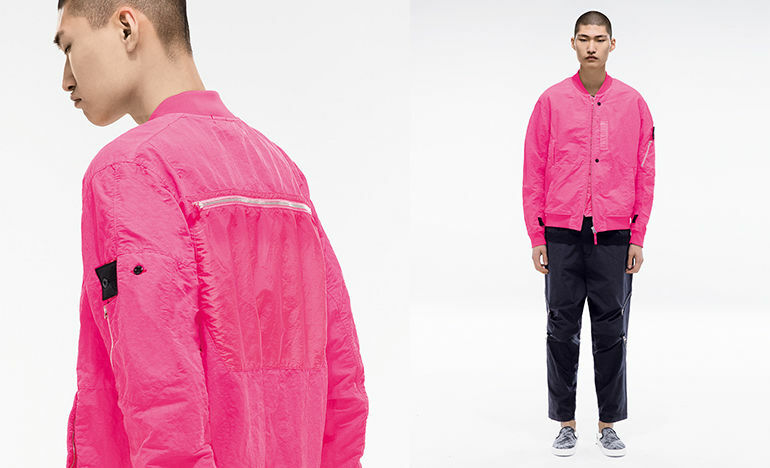 Each season Stone Island shows the progress which the fashion industry can achieve in technological research. 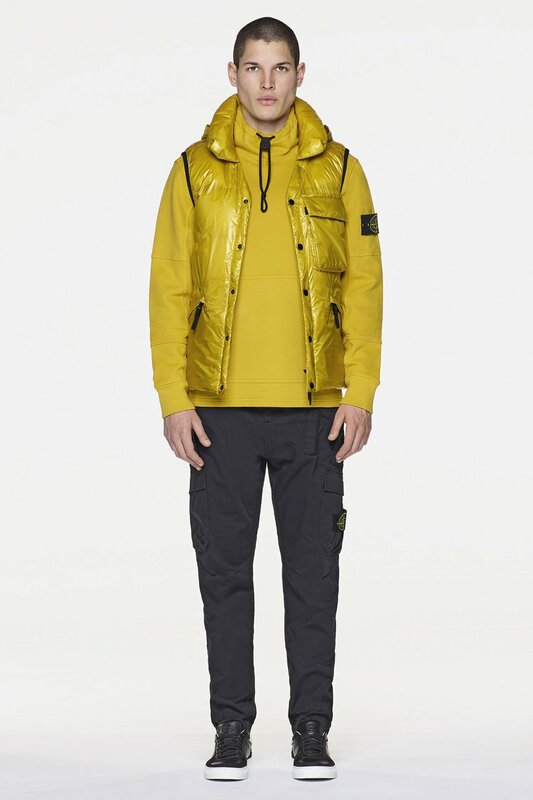 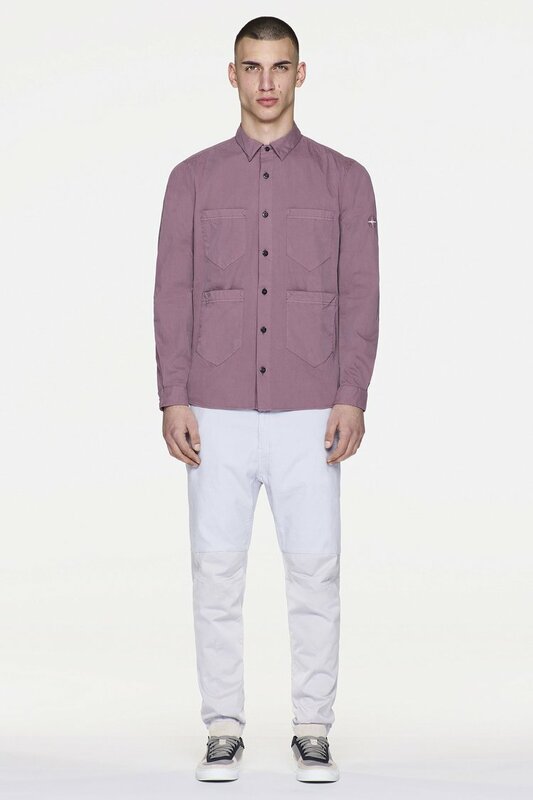 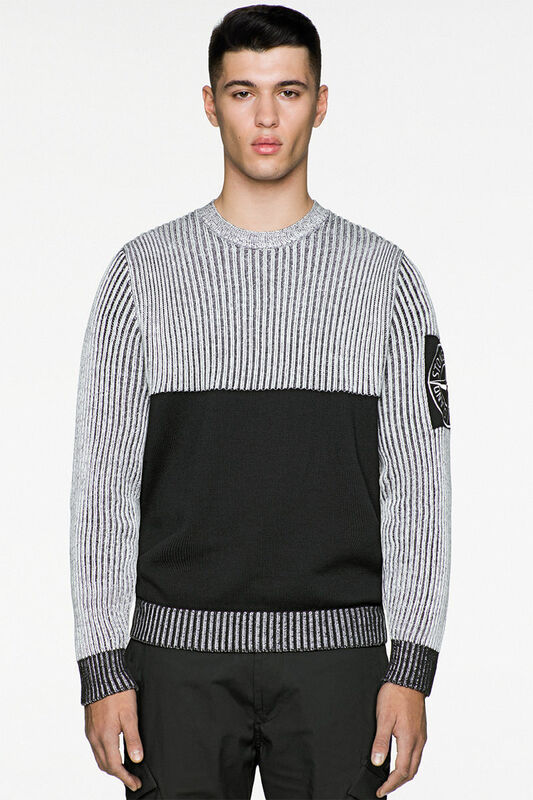 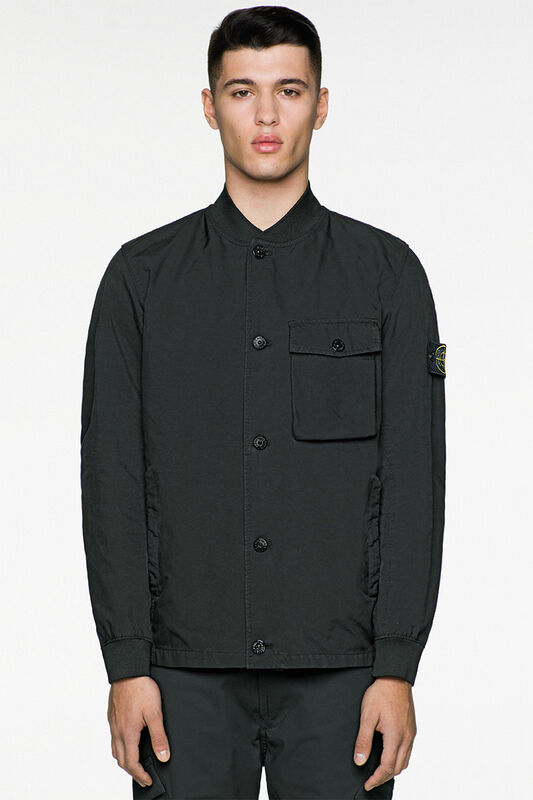 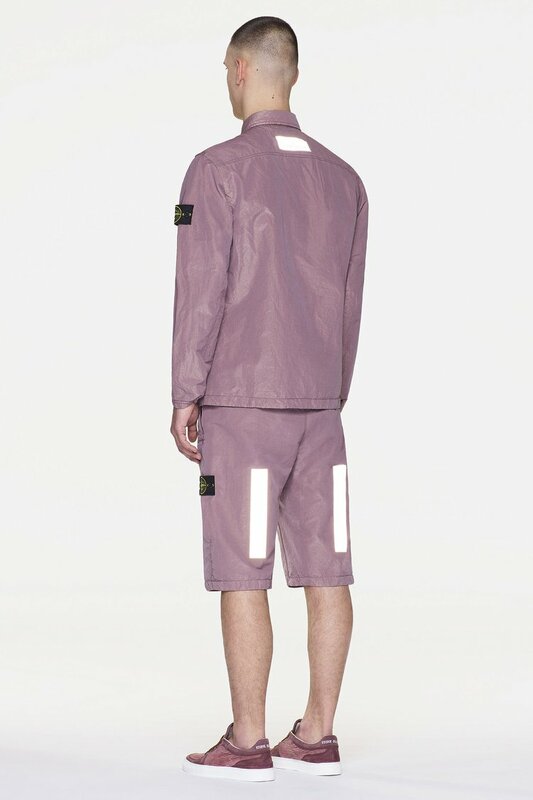 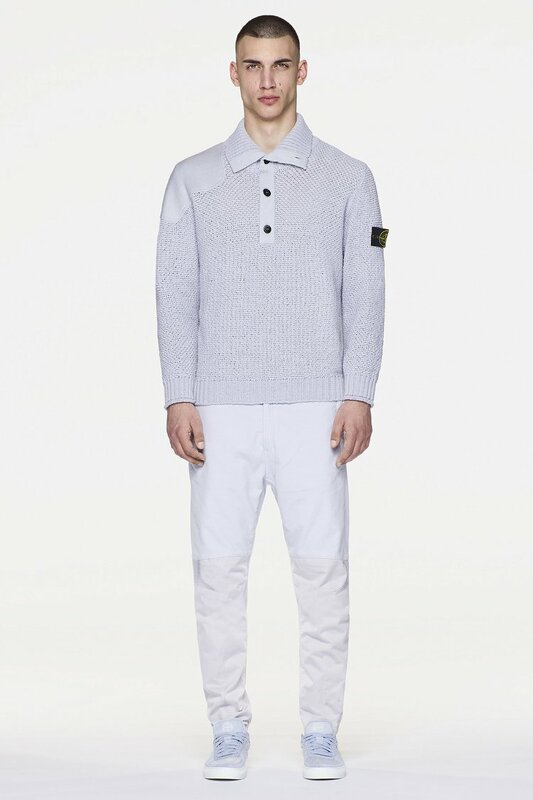 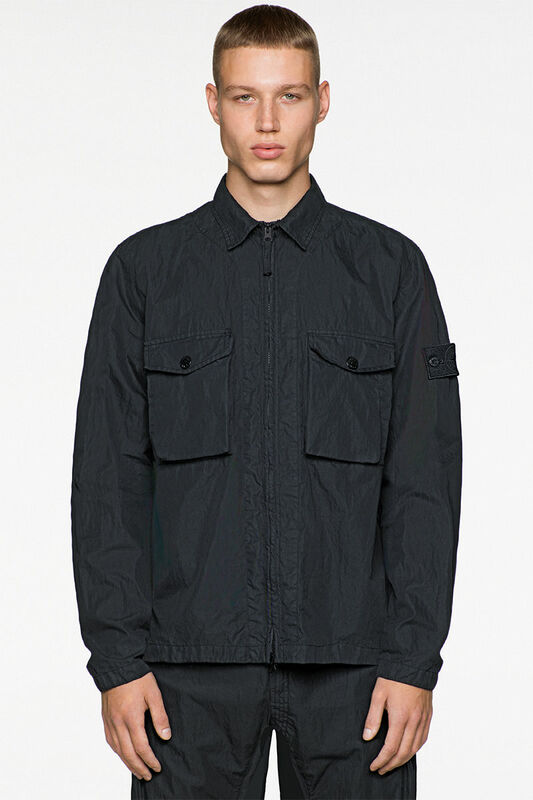 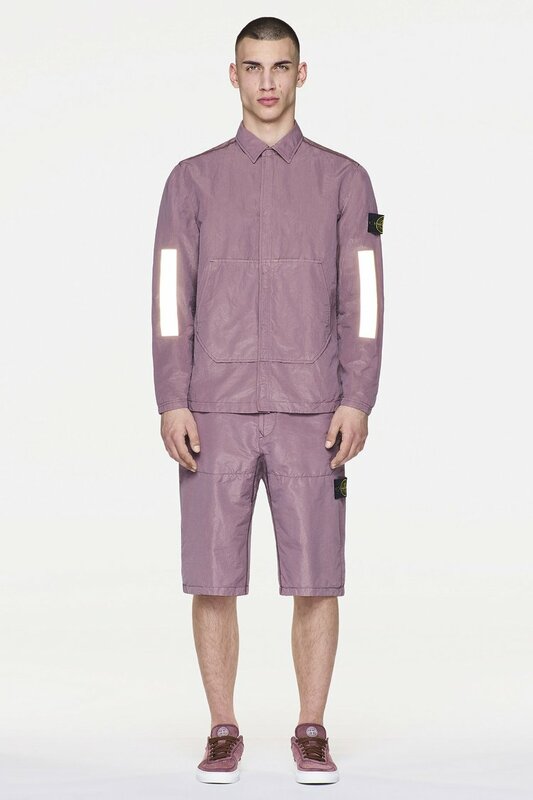 However, Stone Island outfits are never extravagant or pretentious. 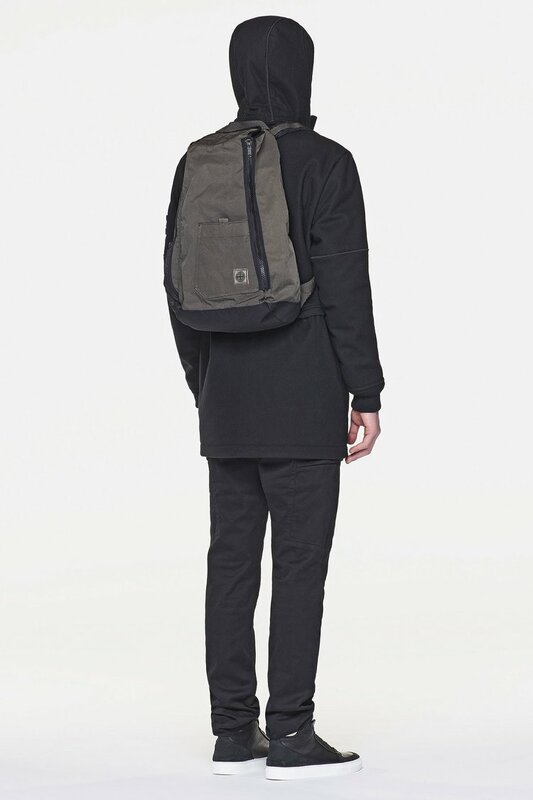 They are designed for people who love high quality and beautiful things, but without ostentation. 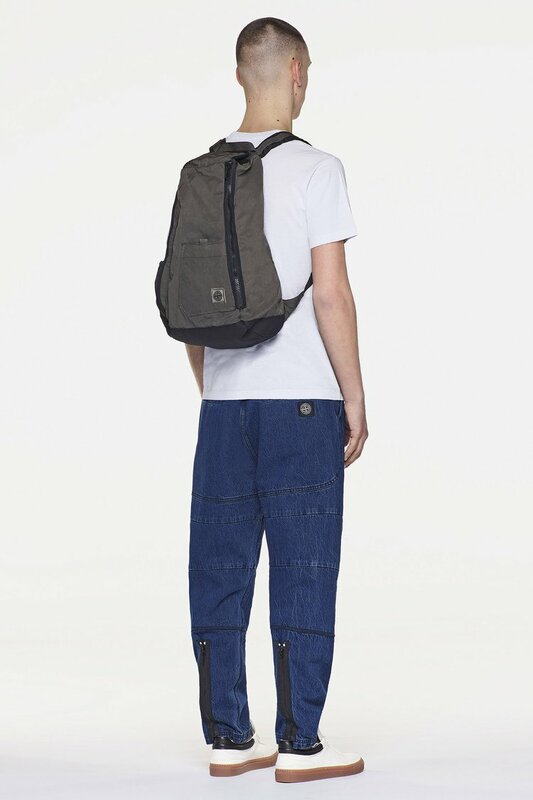 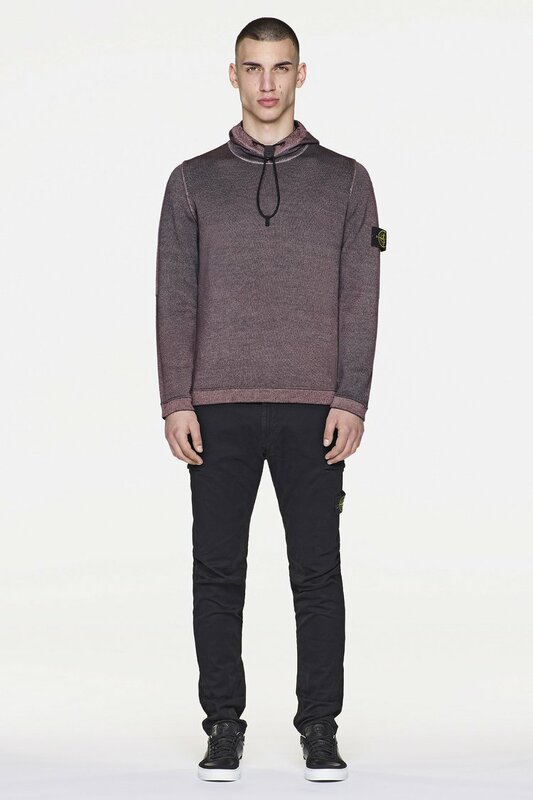 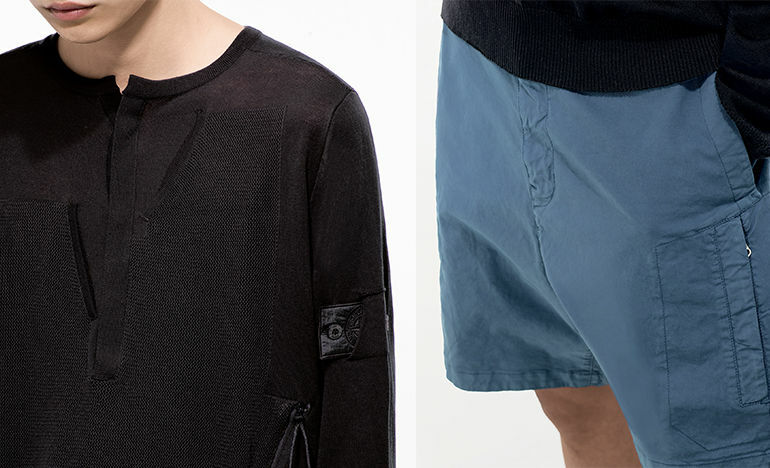 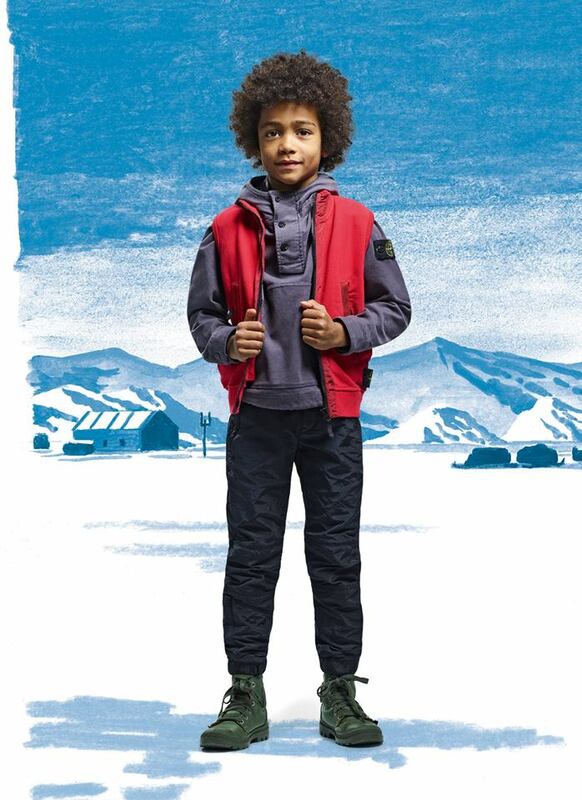 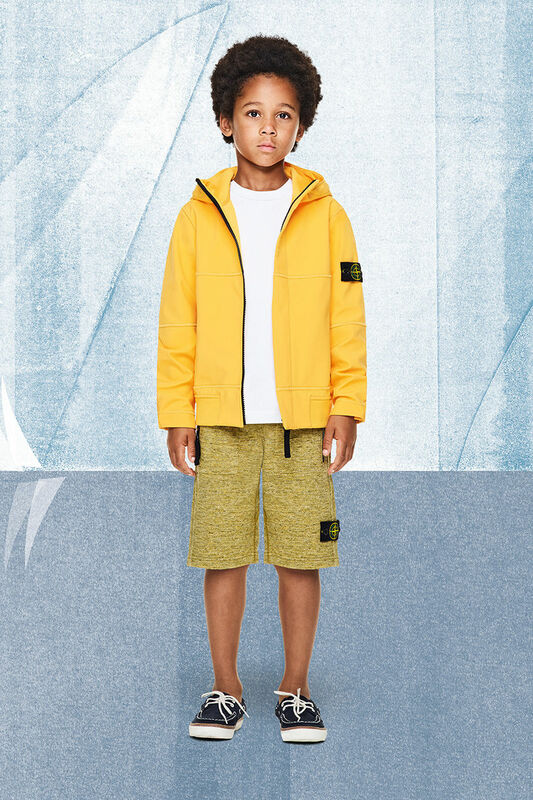 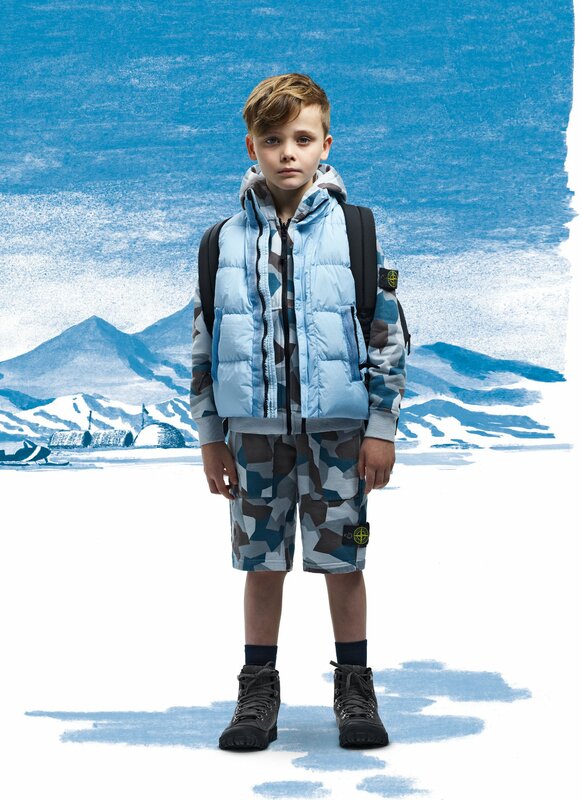 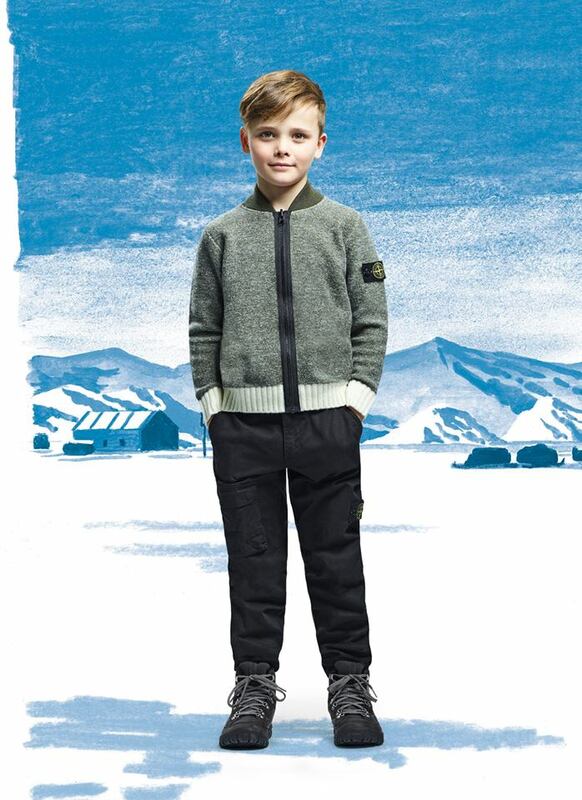 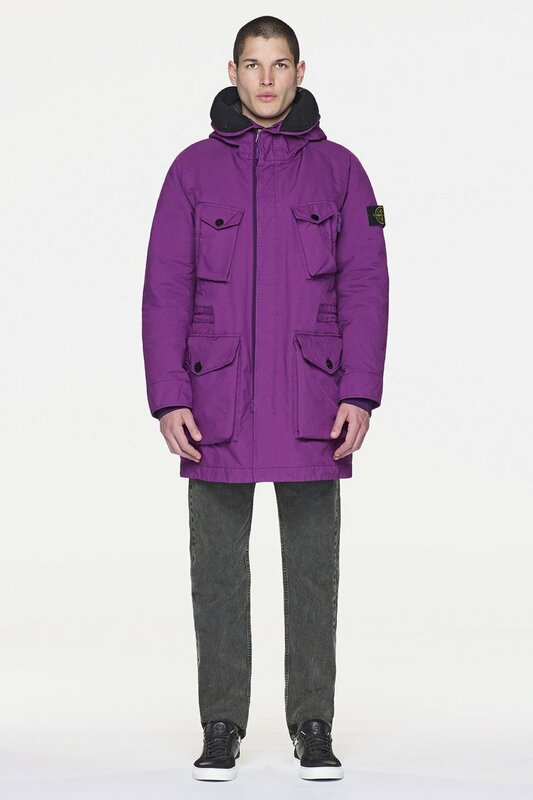 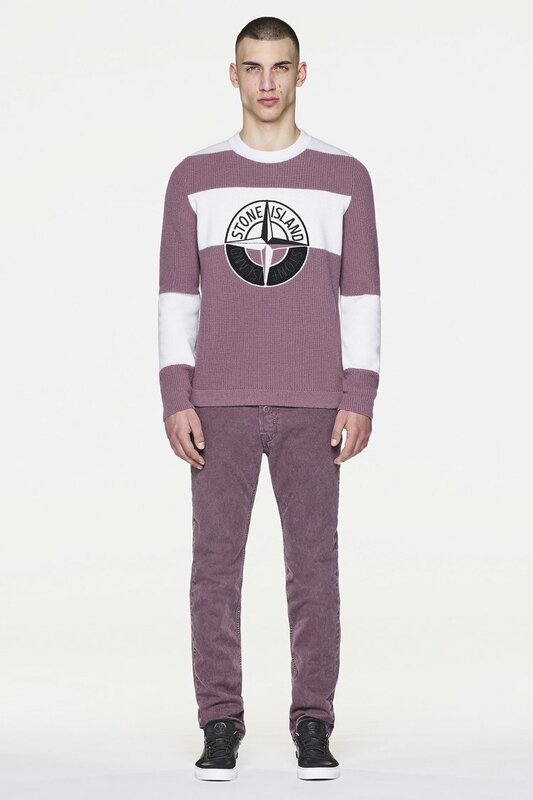 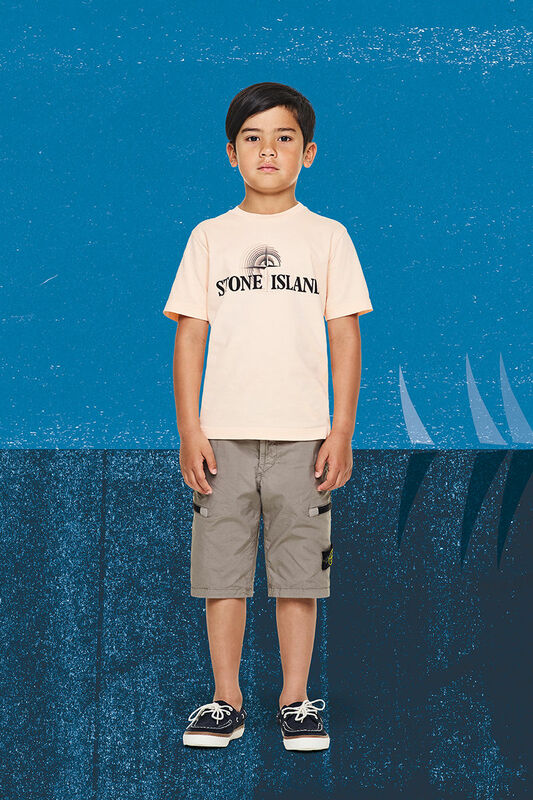 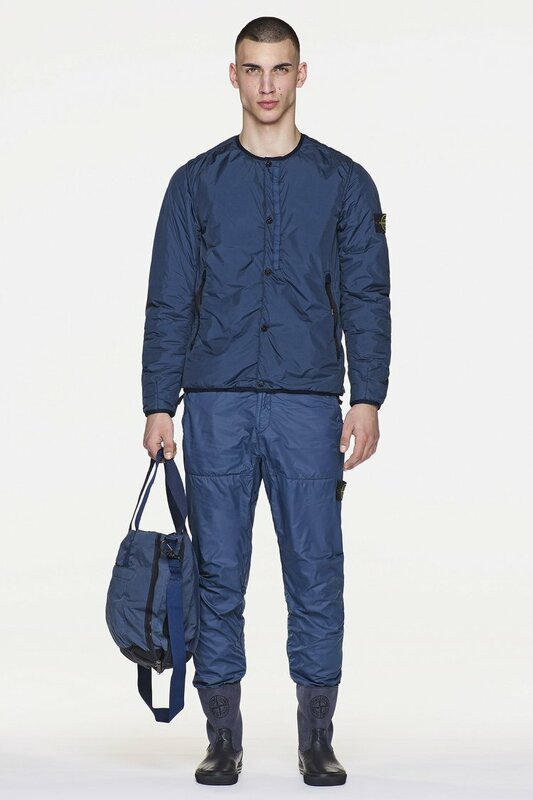 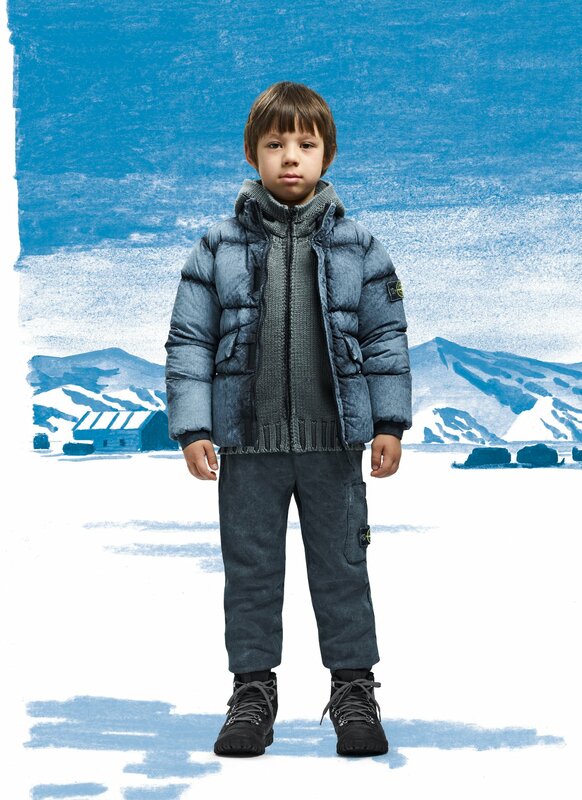 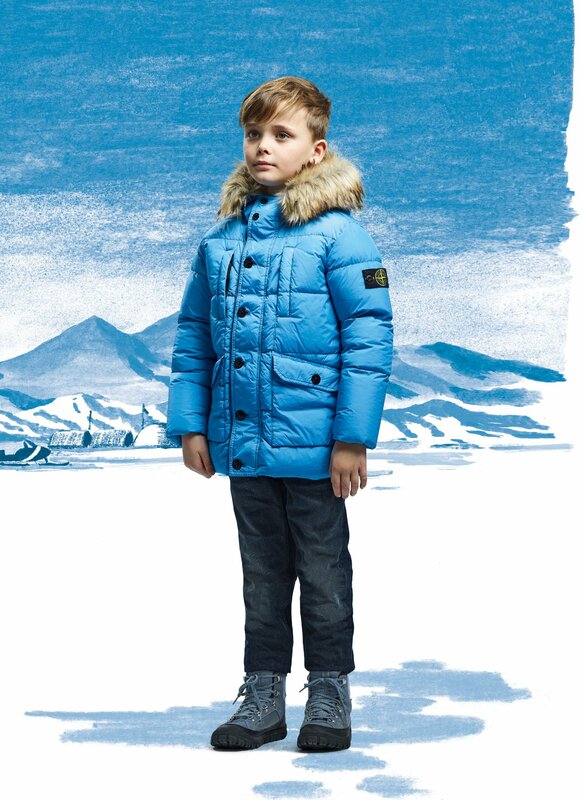 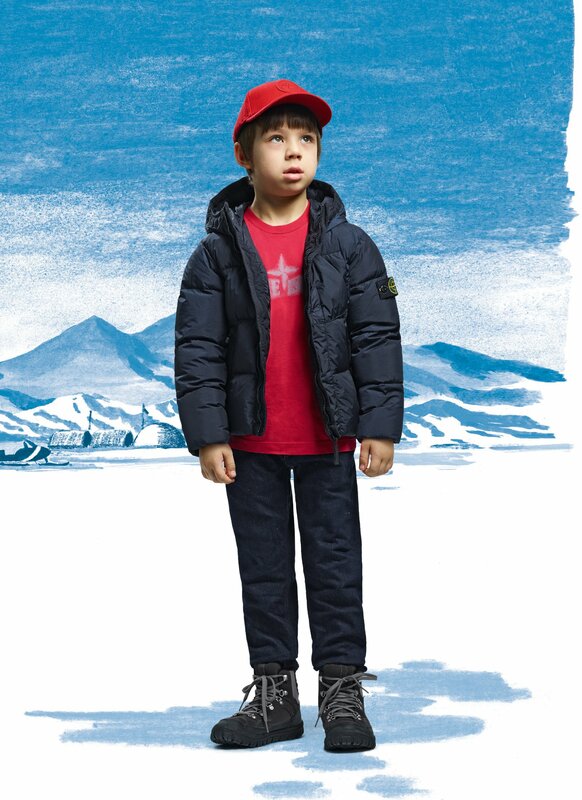 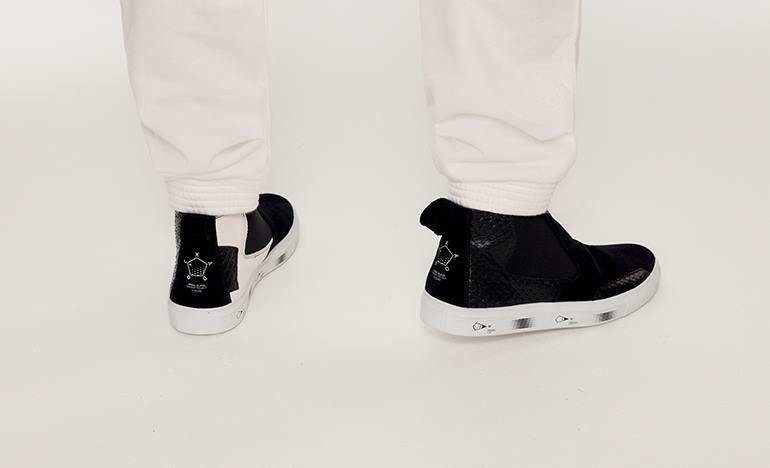 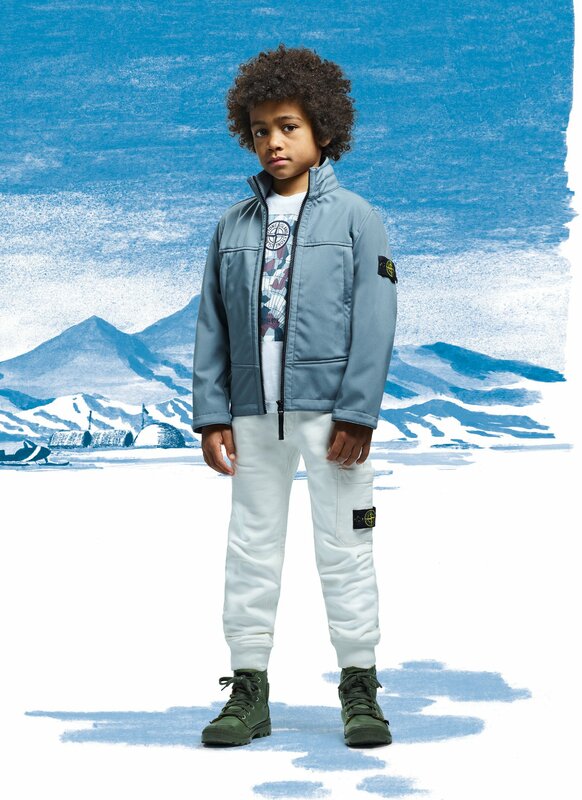 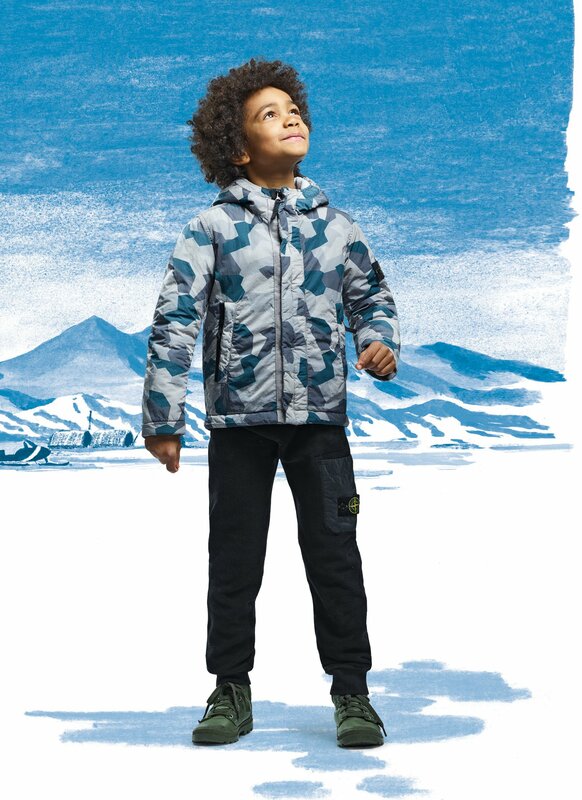 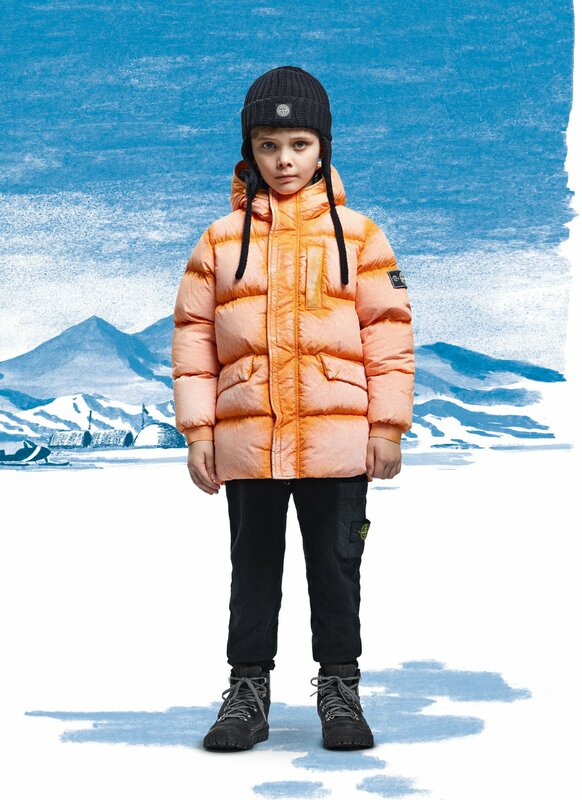 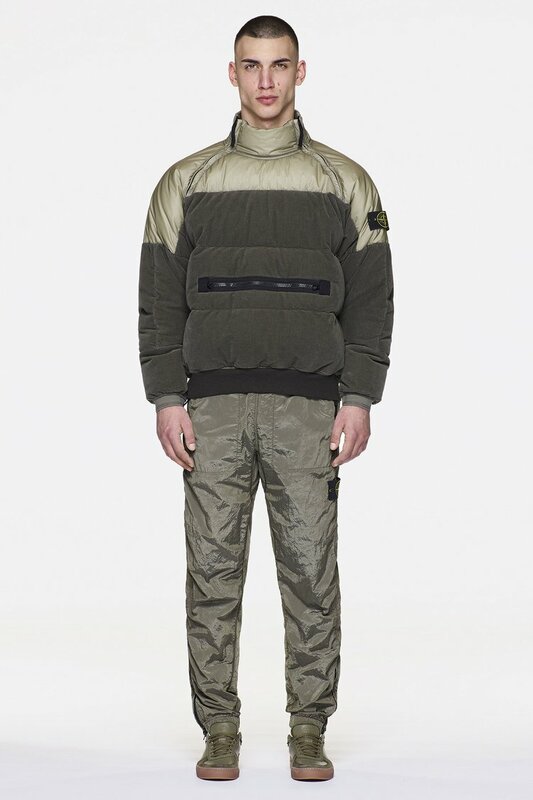 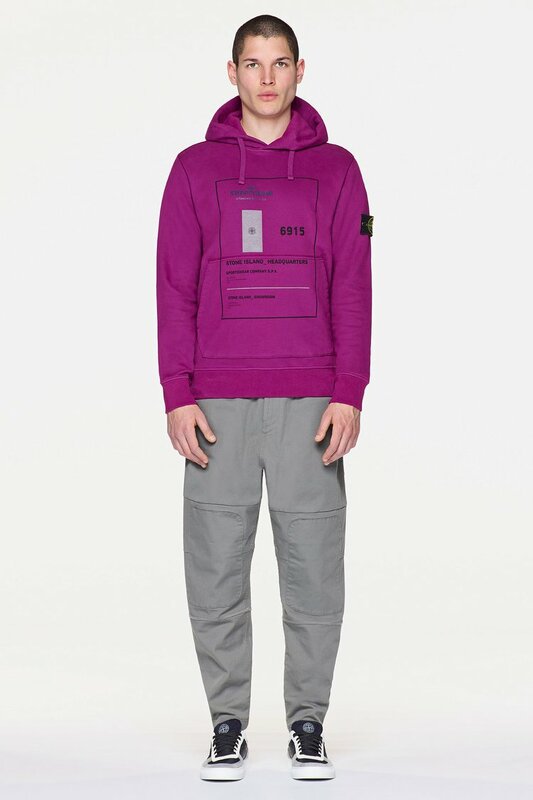 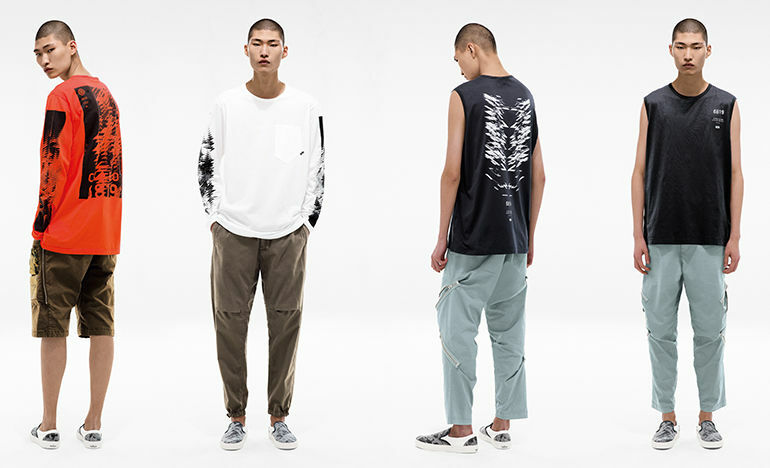 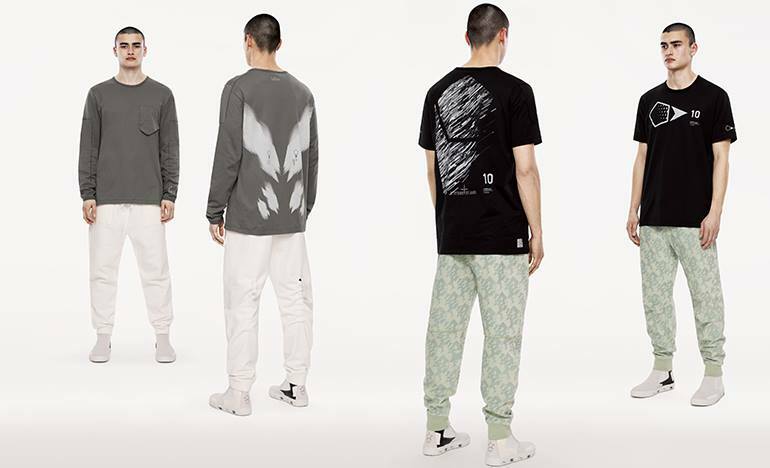 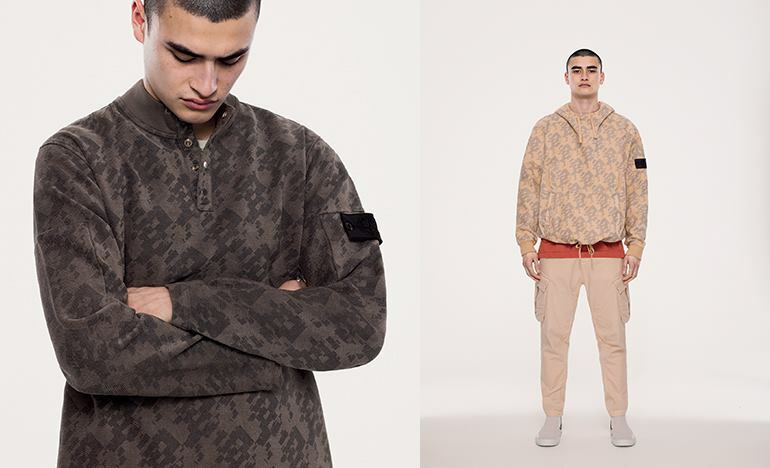 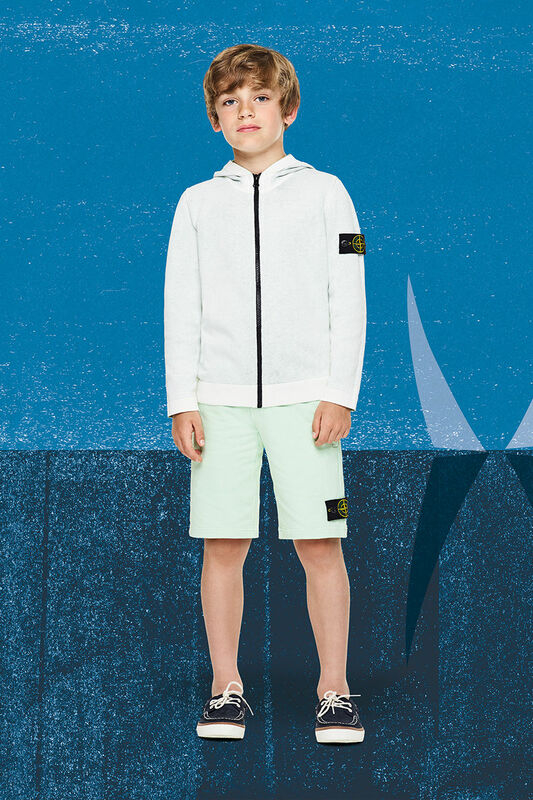 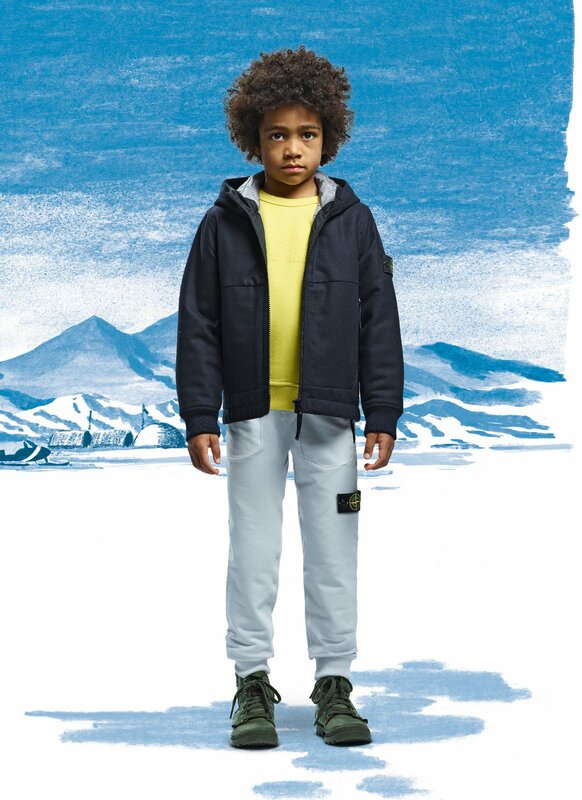 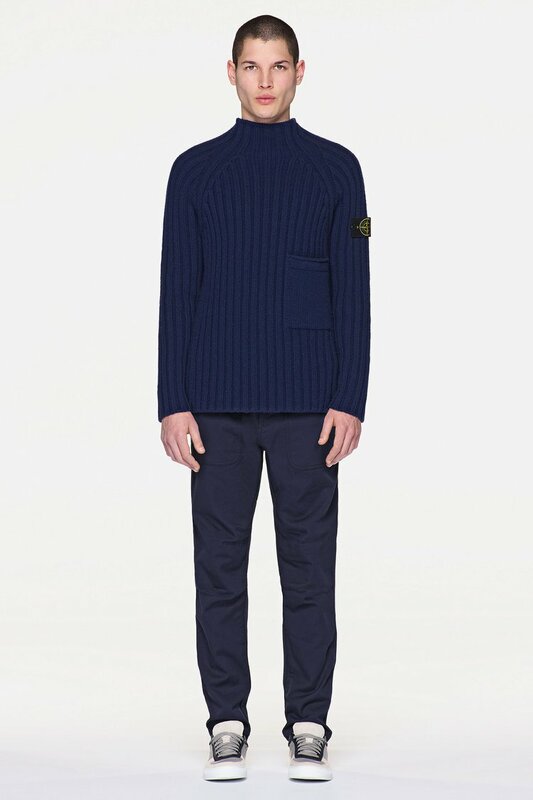 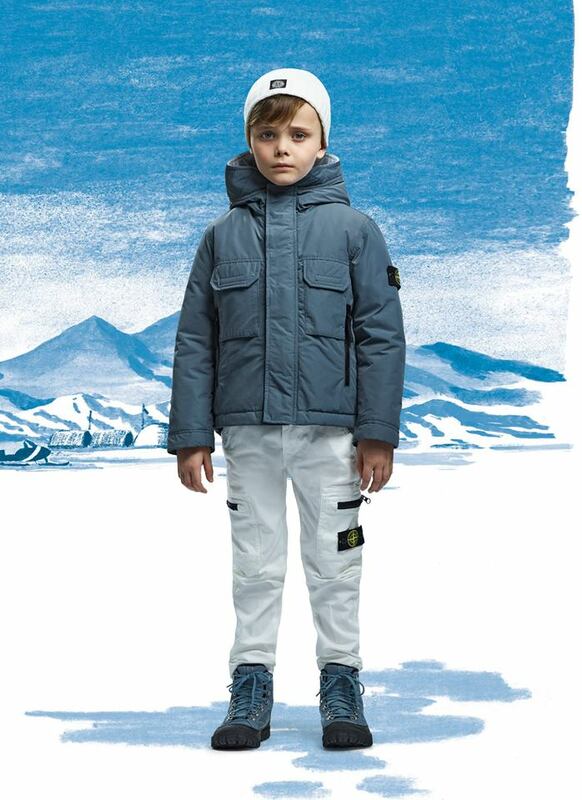 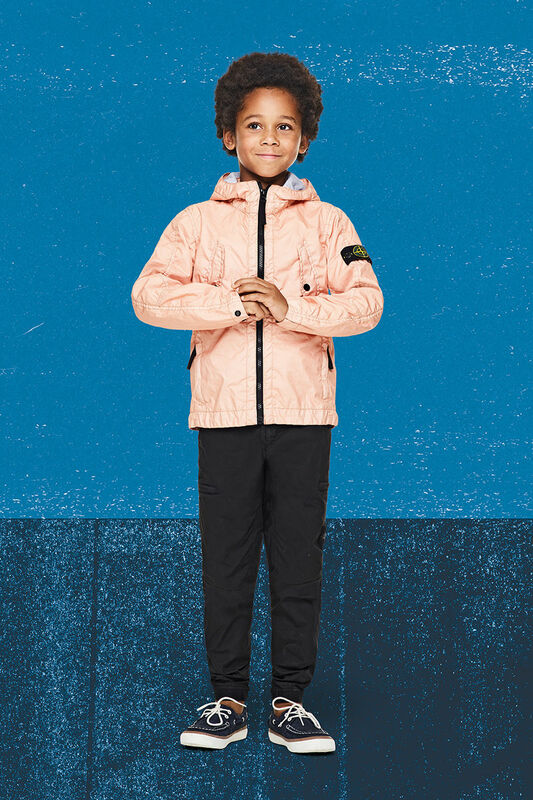 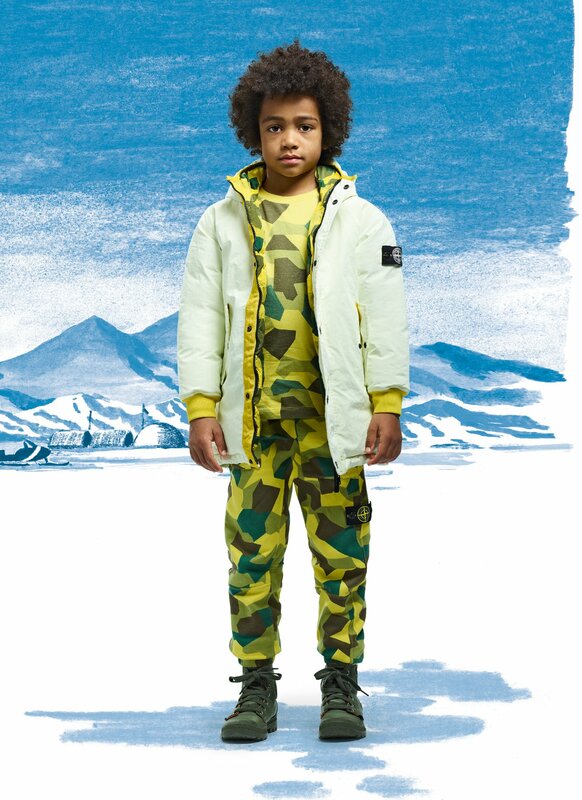 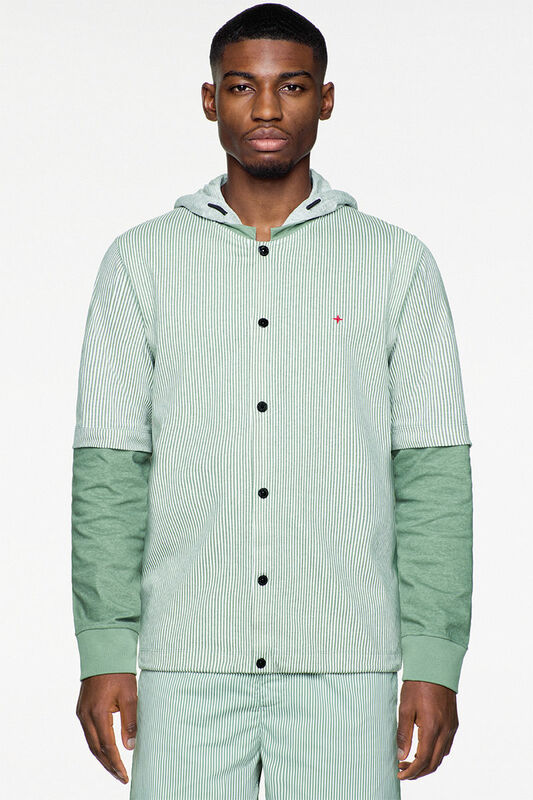 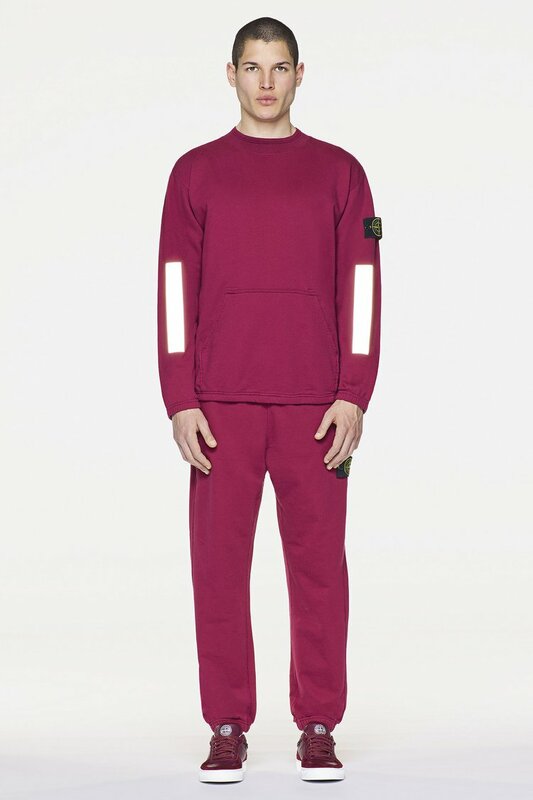 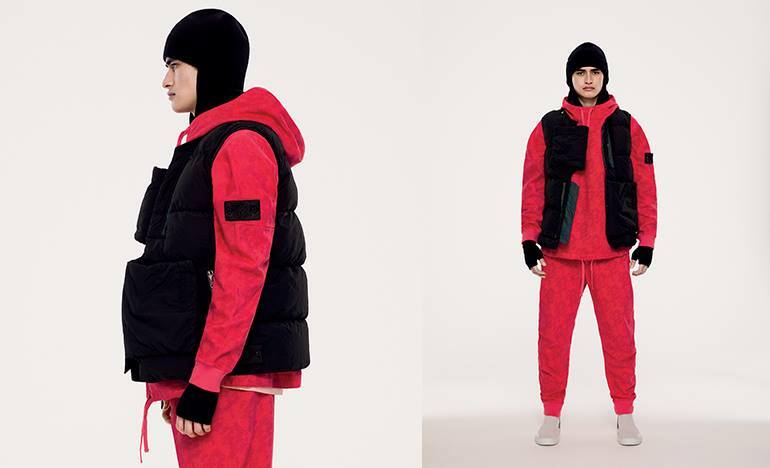 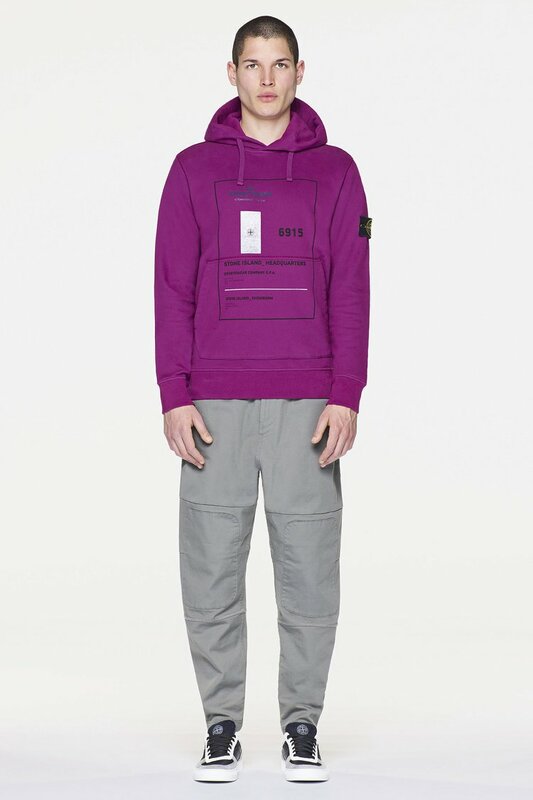 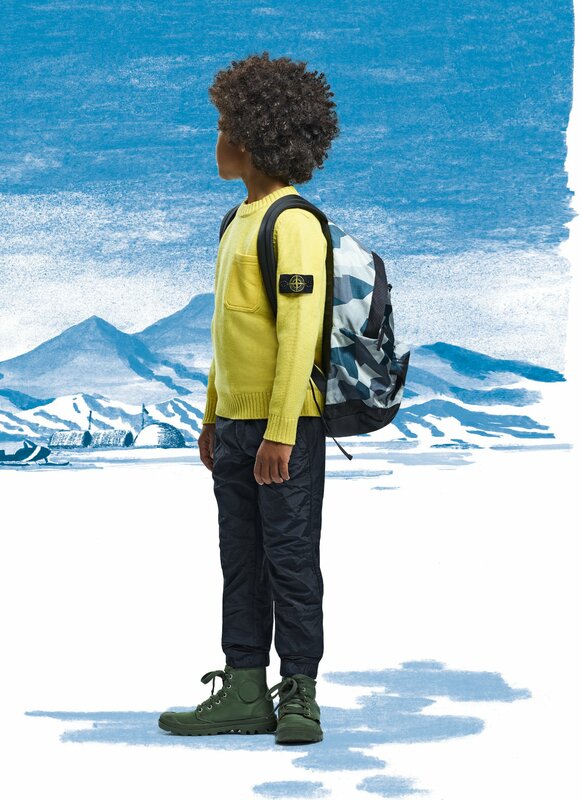 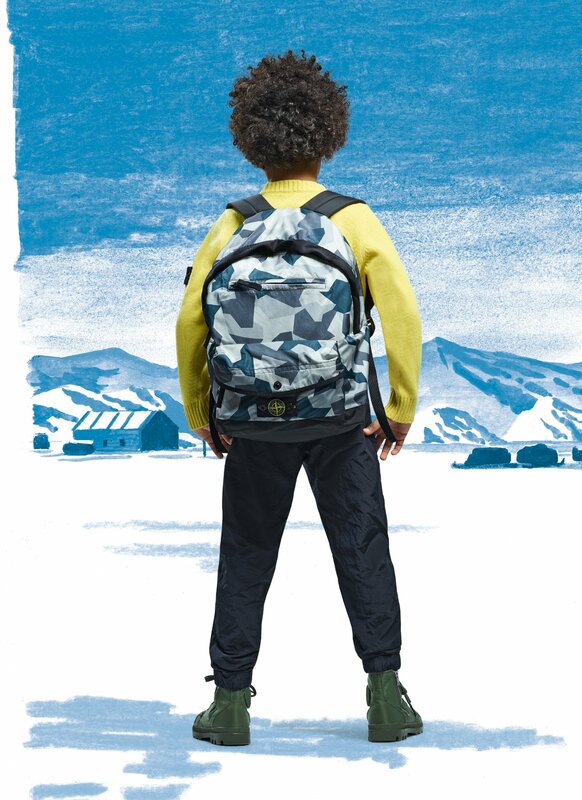 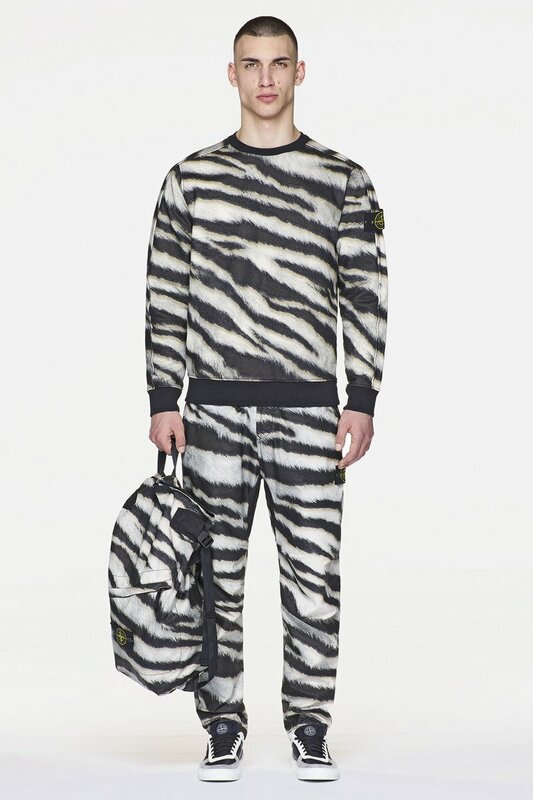 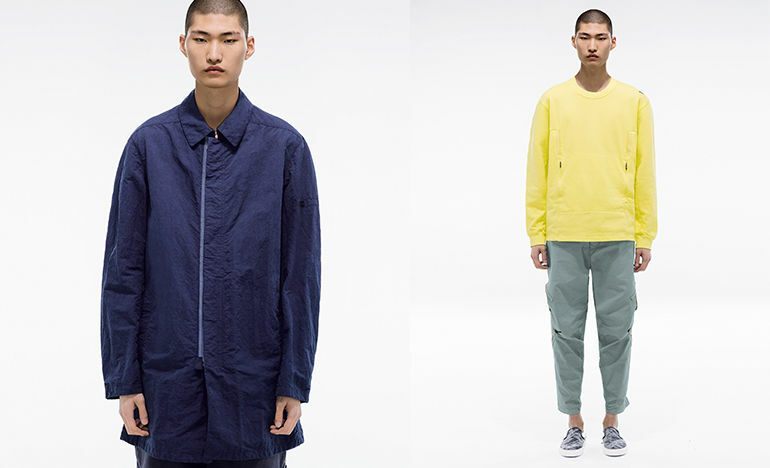 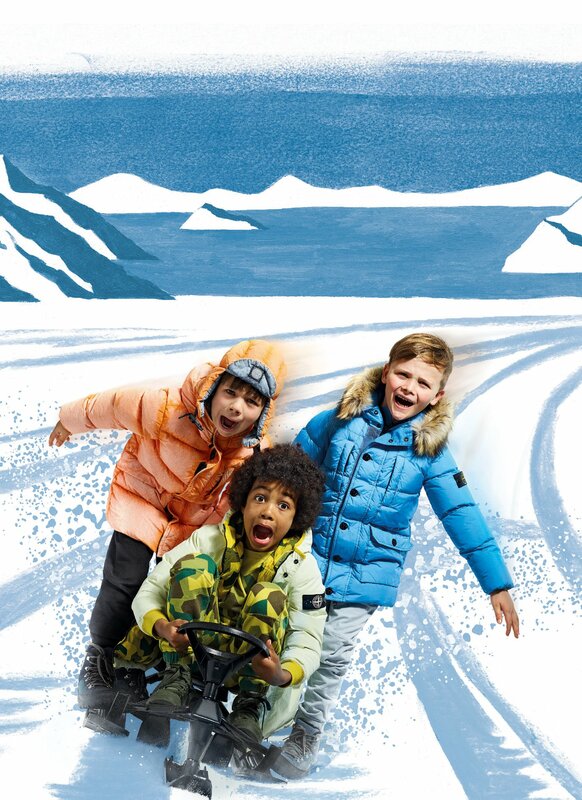 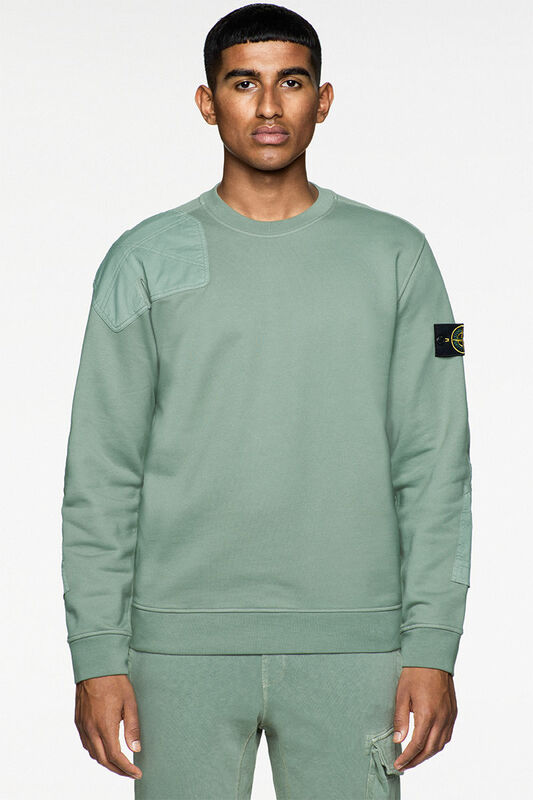 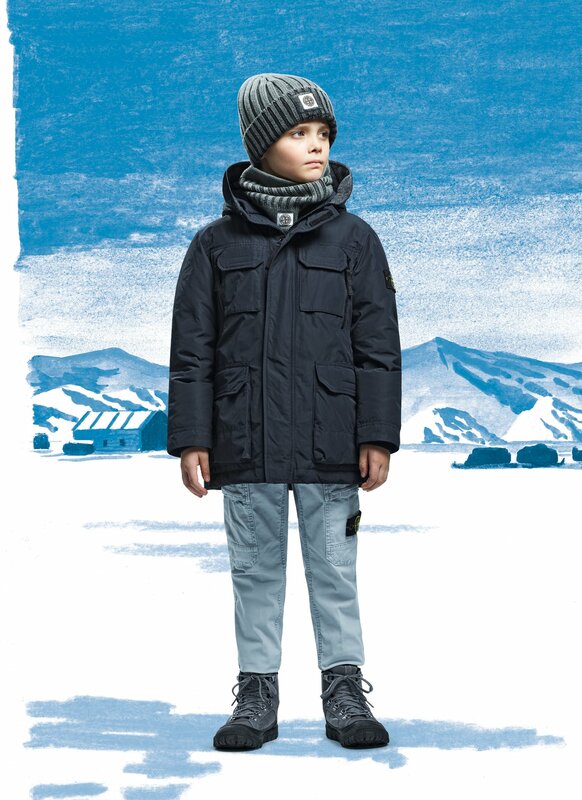 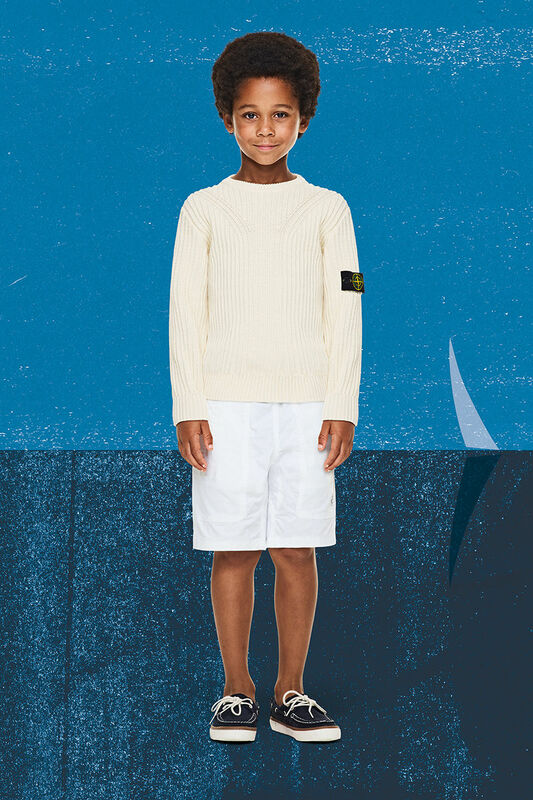 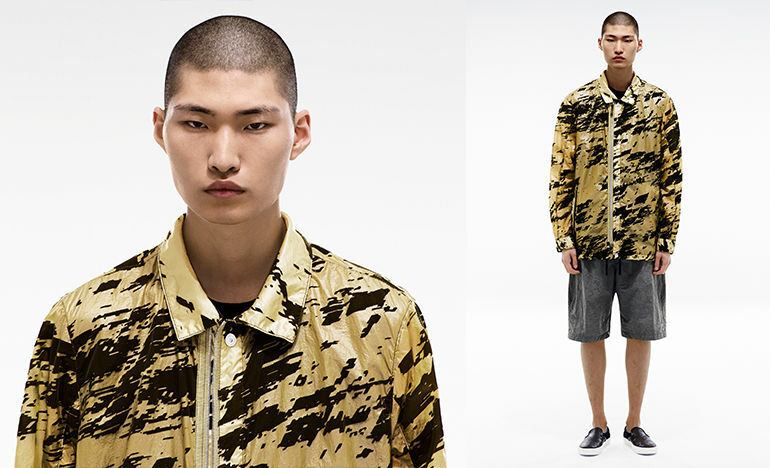 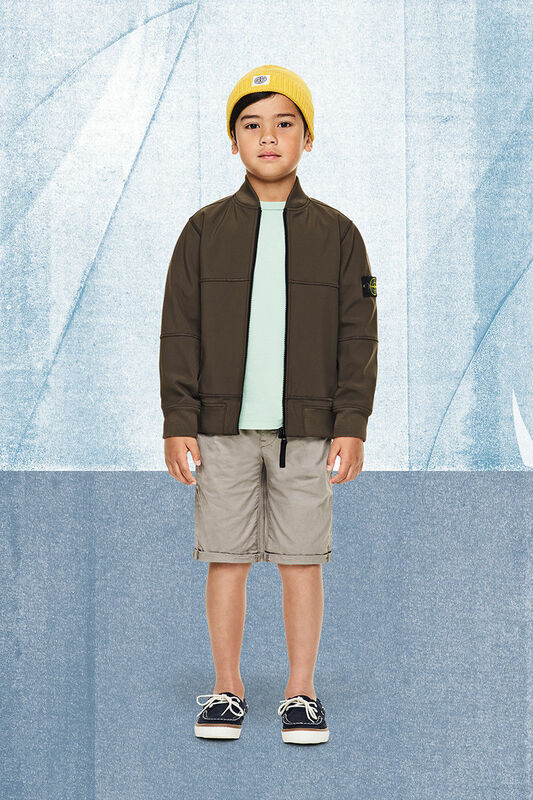 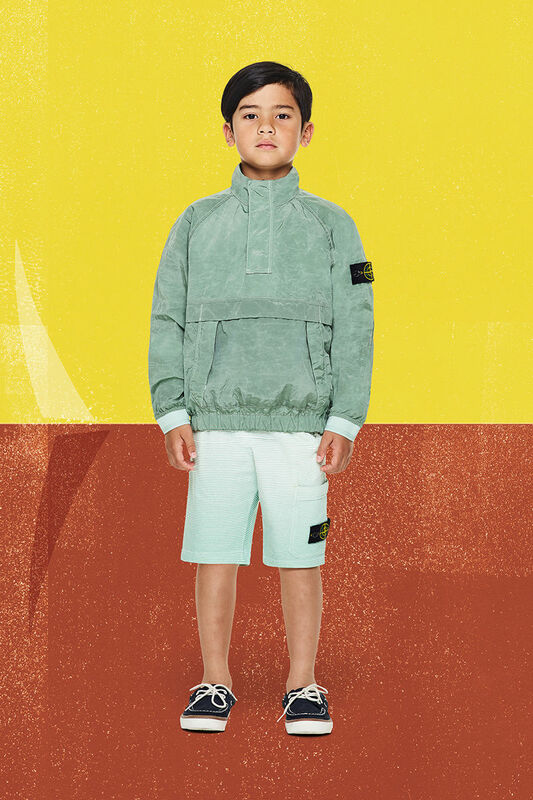 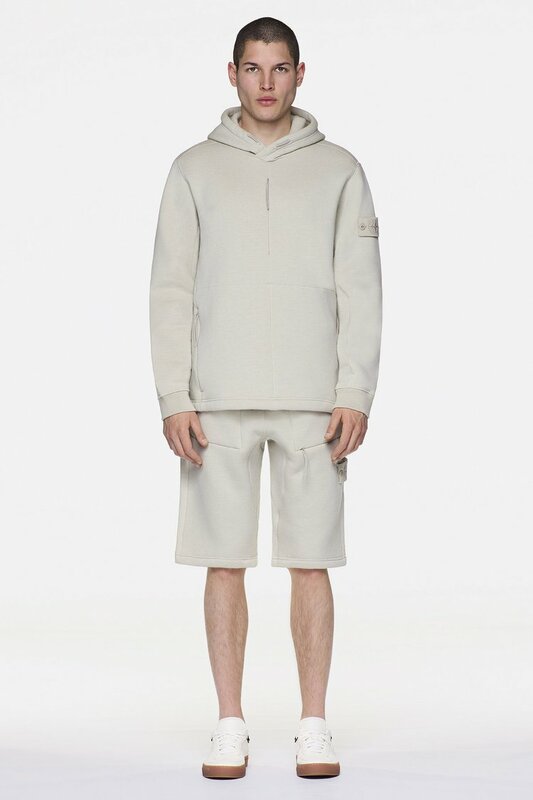 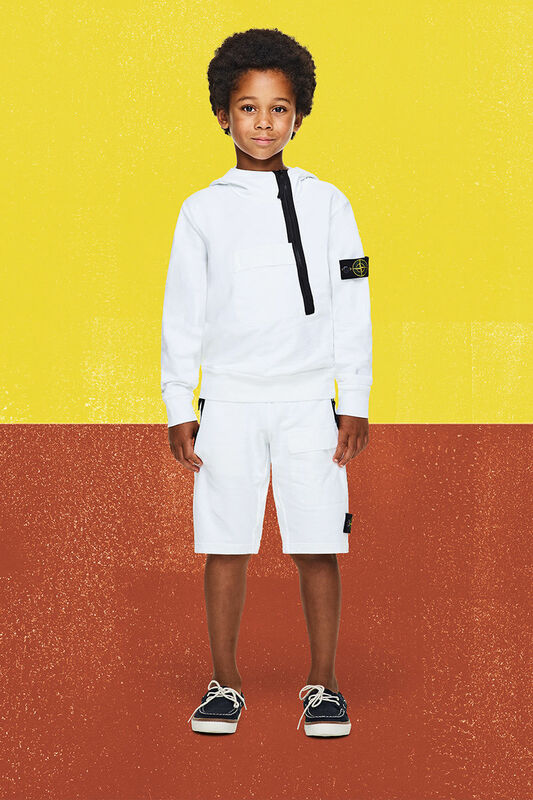 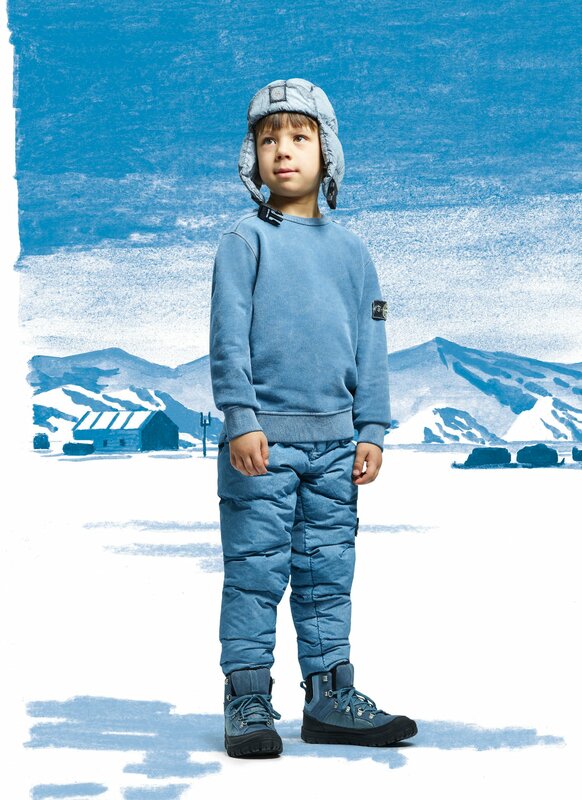 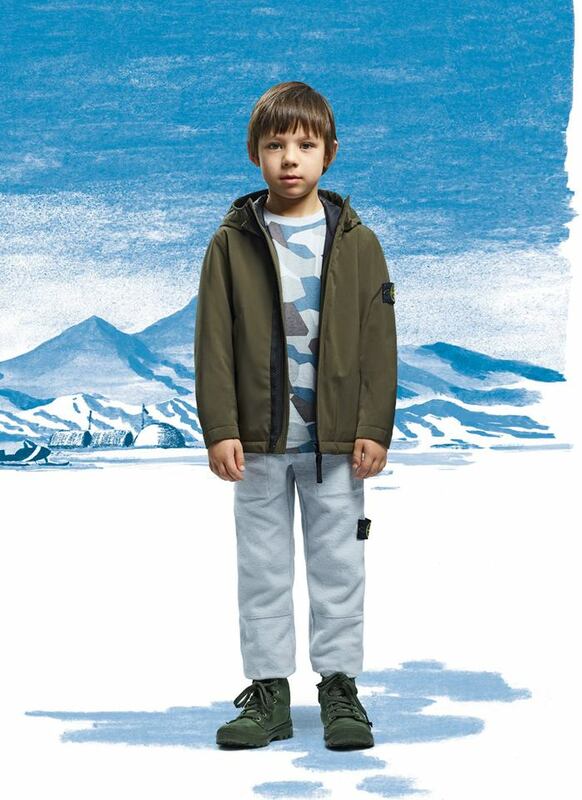 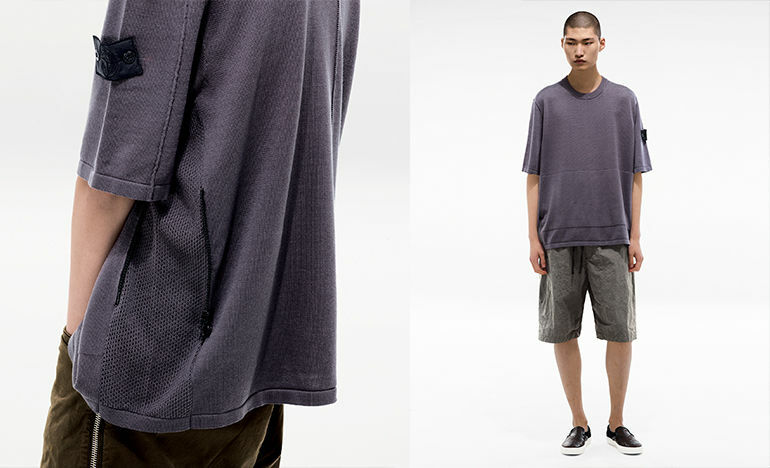 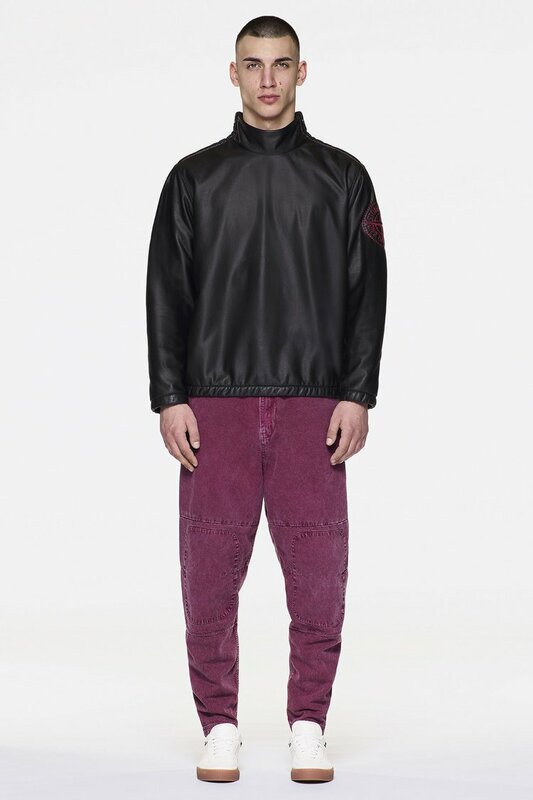 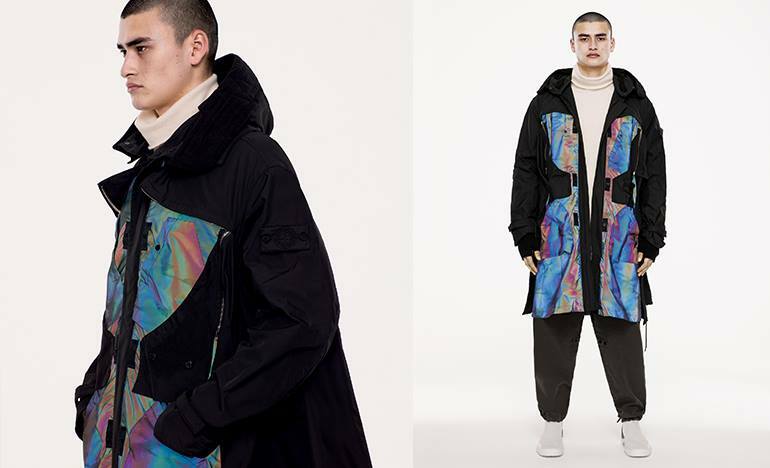 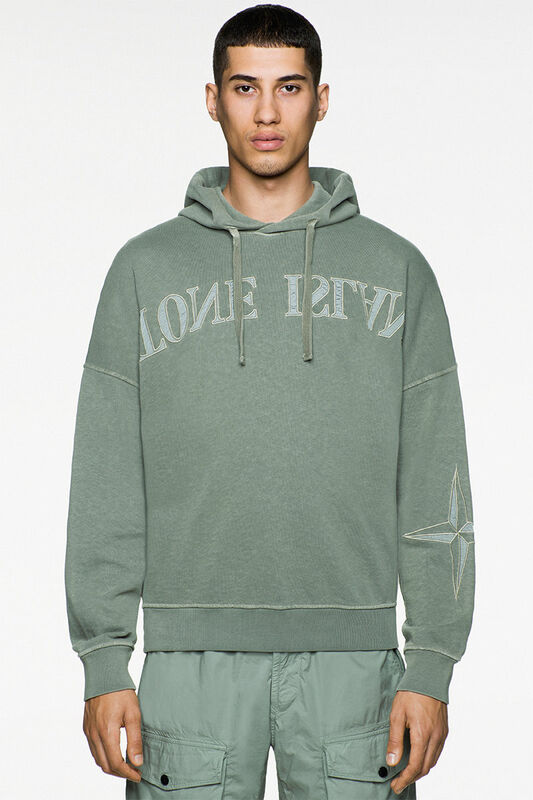 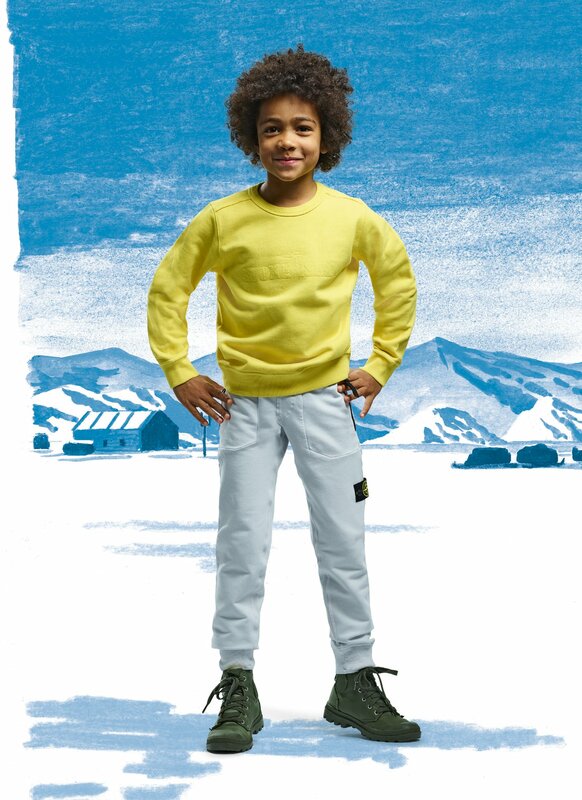 Today the company produces two lines for men – Stone Island and Stone Island Shadow Project and a line for boys, Stone Island Junior. 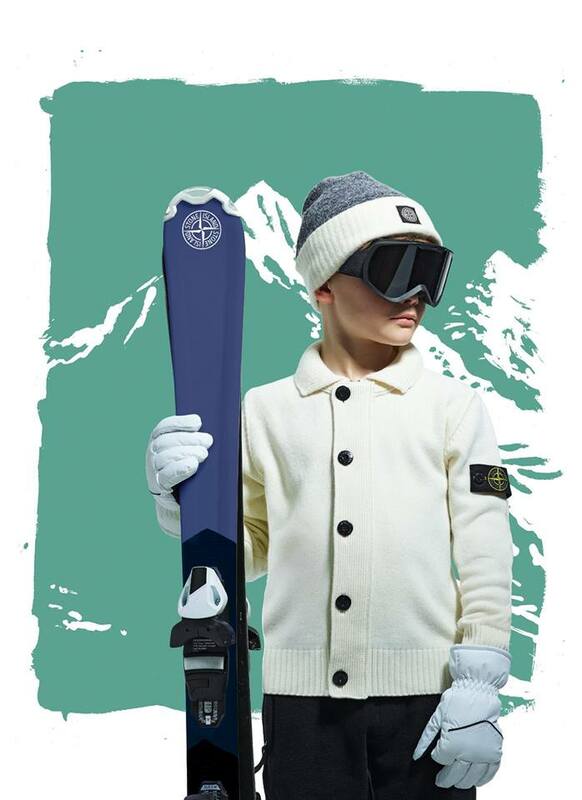 Currently the brand possesses a significant distribution network, with dozens of mono-brand stores around the world, and is represented in several well-known multi-brand boutiques including TSUM (Moscow), Barney’s (NYC and LA), Selfridges and Harvey Nichols (London), Antonia (Milan), Vitkac (Warsaw), Spazio and Helen Marlen (Kiev), Saks 5th Avenue (Almaty) among many others.